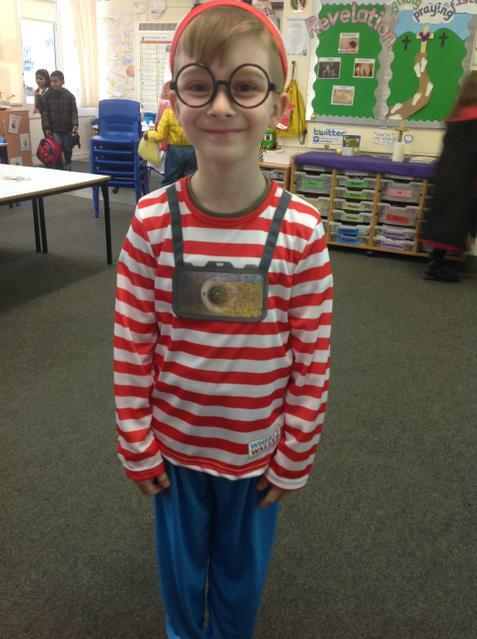 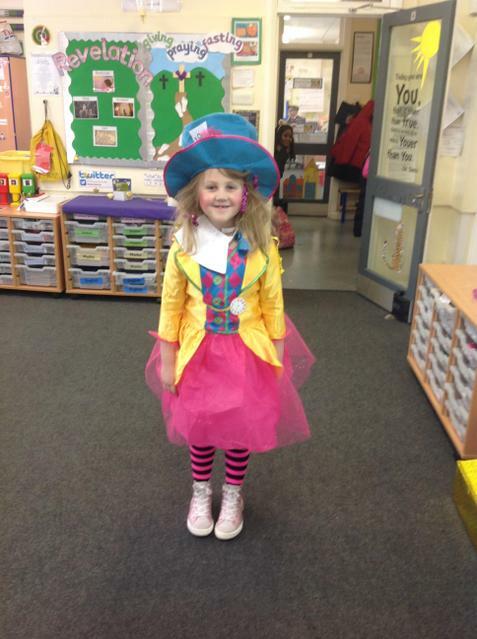 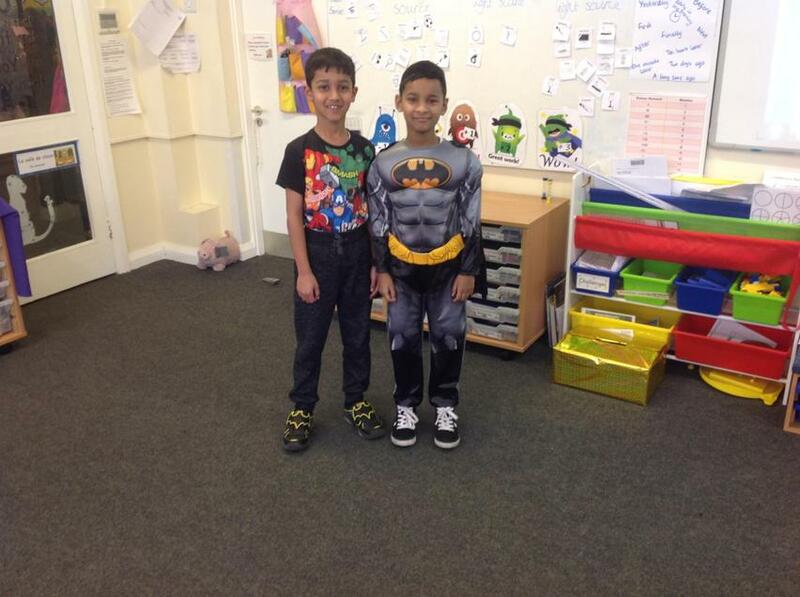 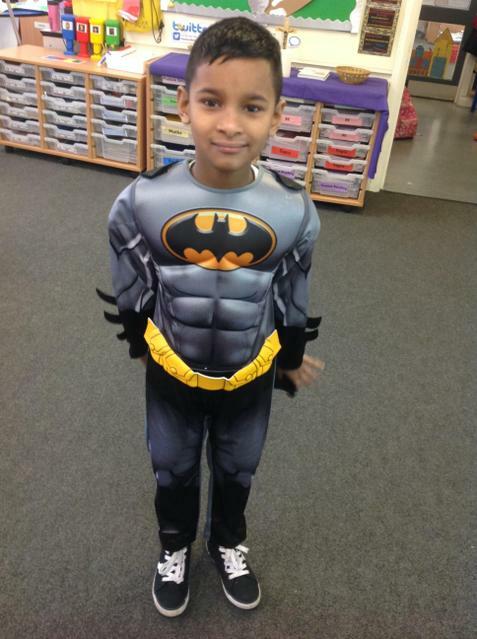 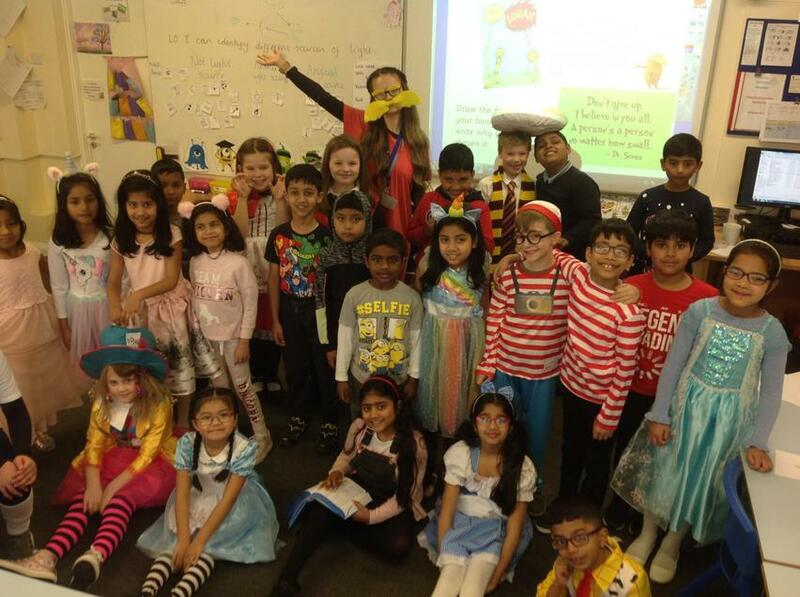 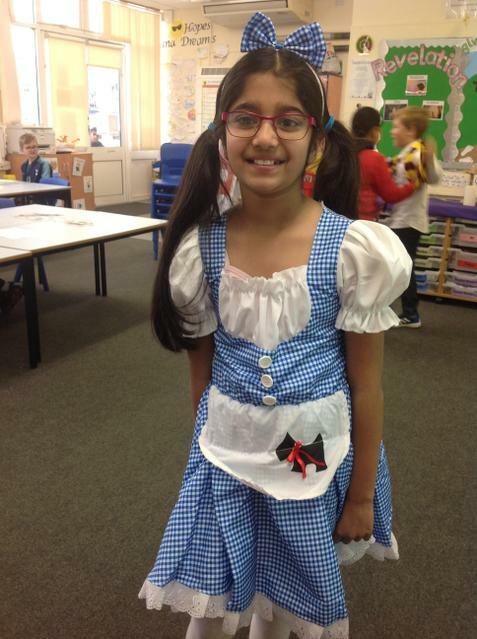 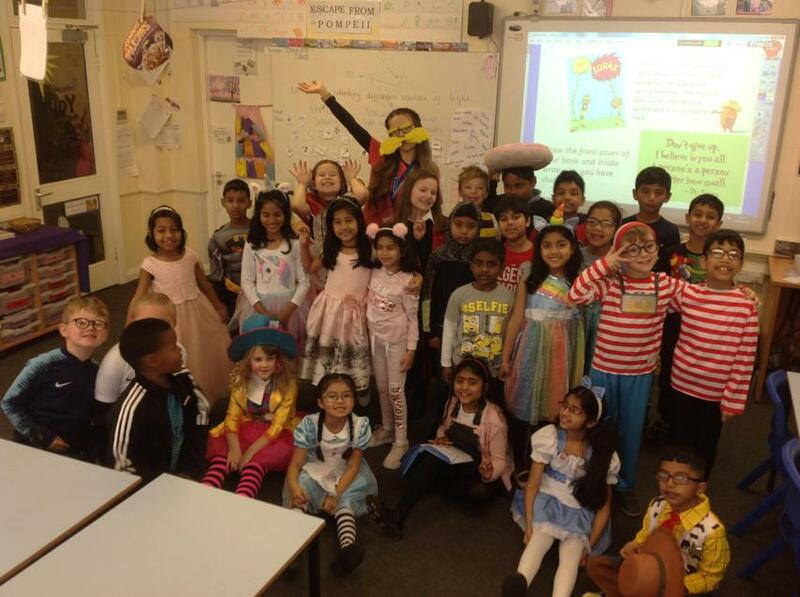 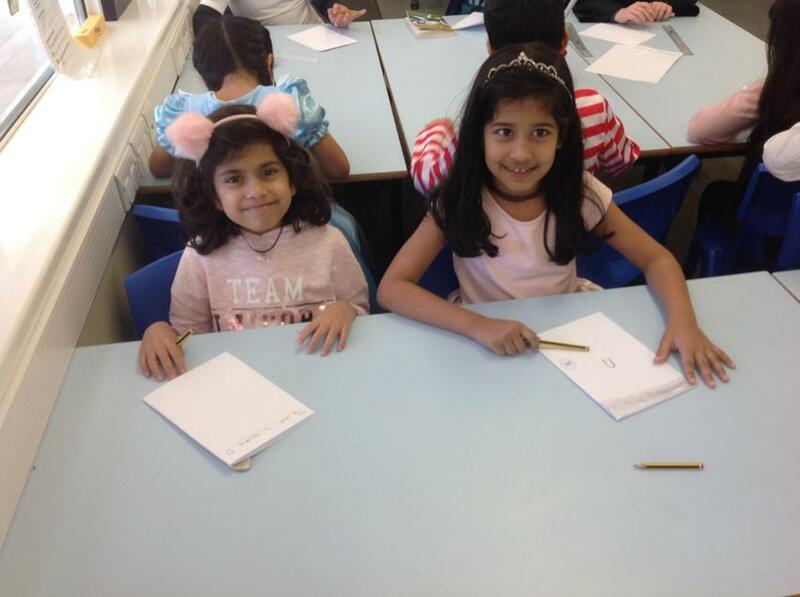 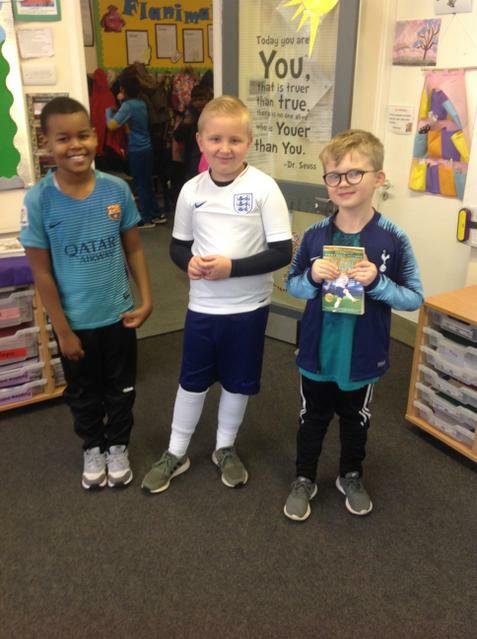 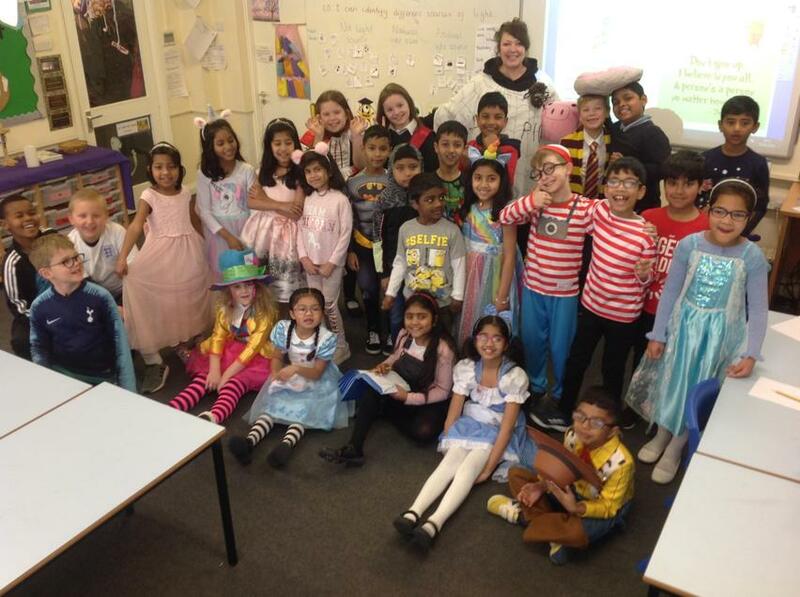 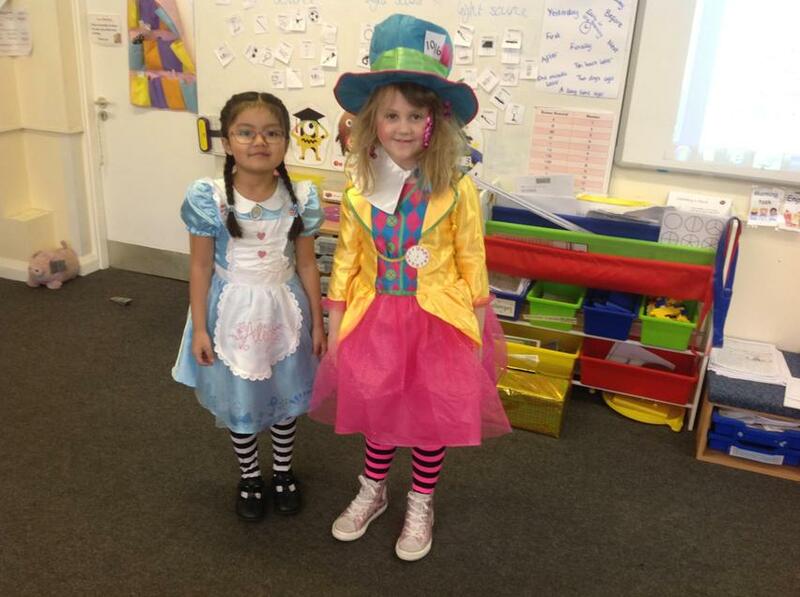 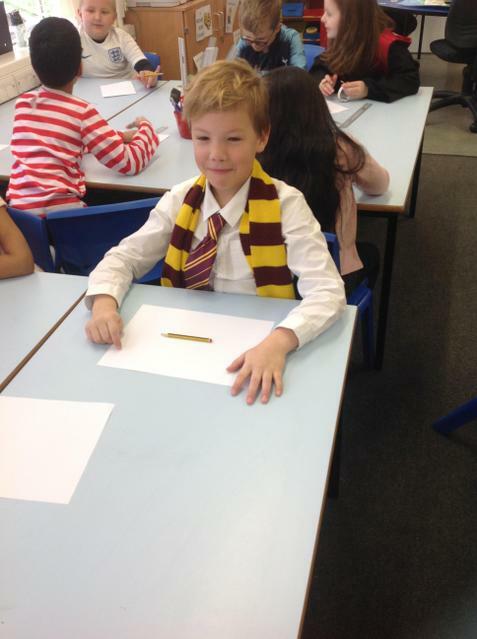 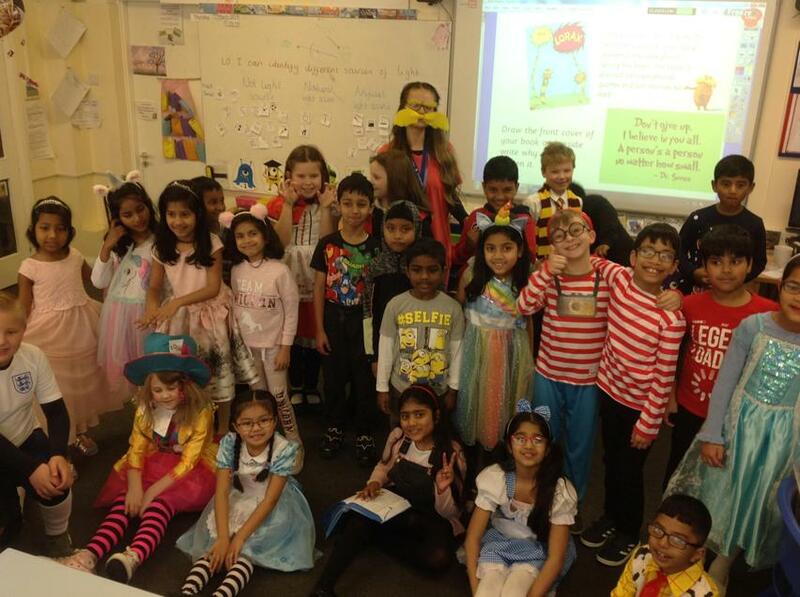 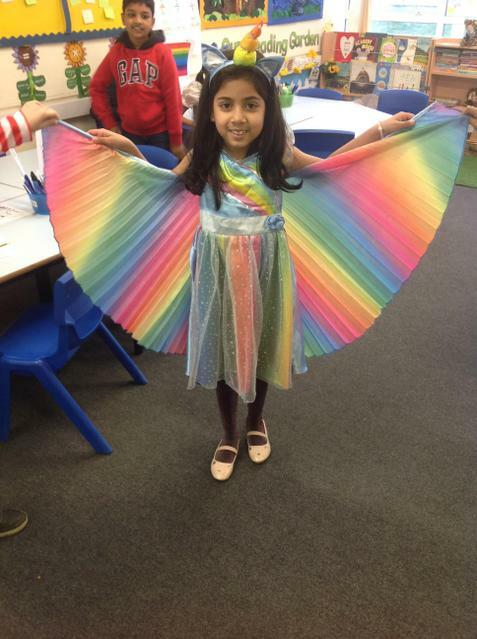 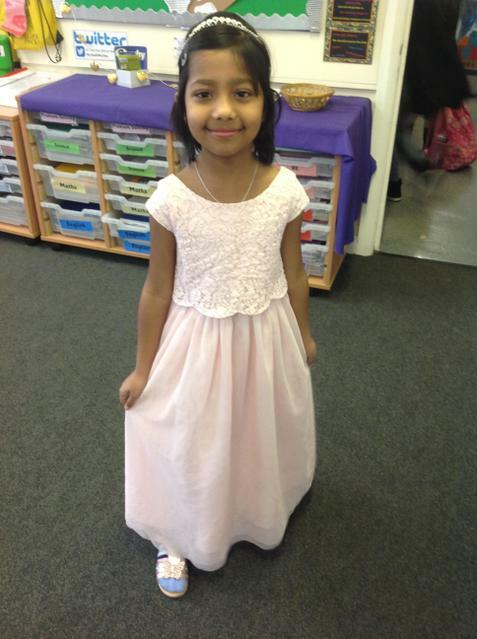 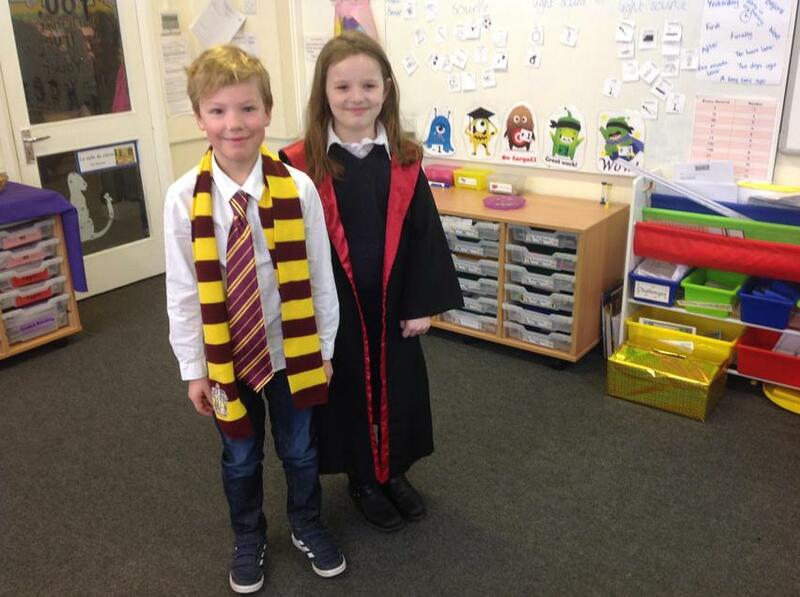 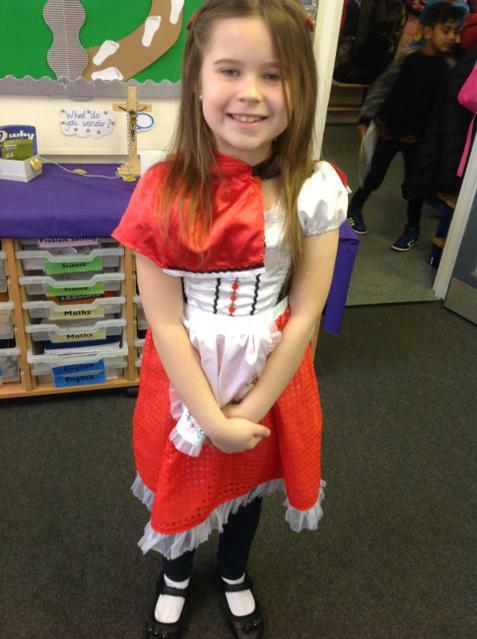 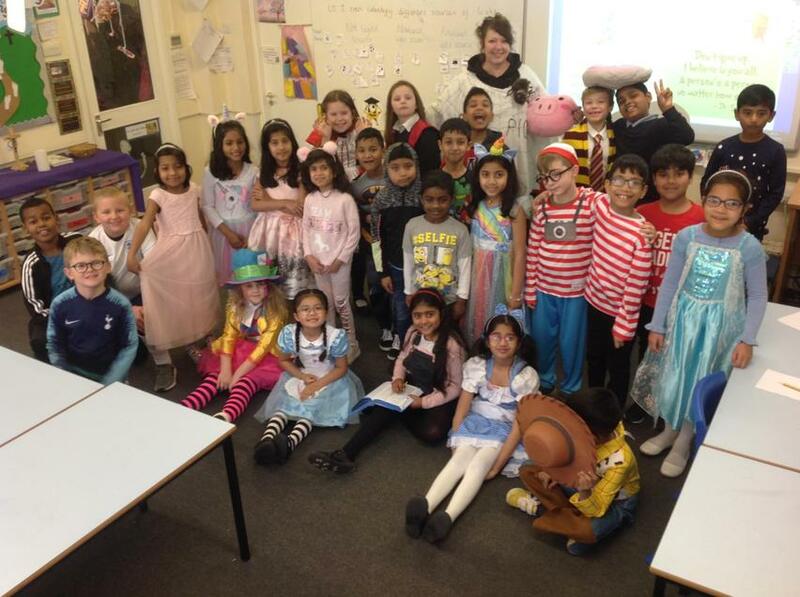 Thank you so much for all the children's costumes on World Book Day! 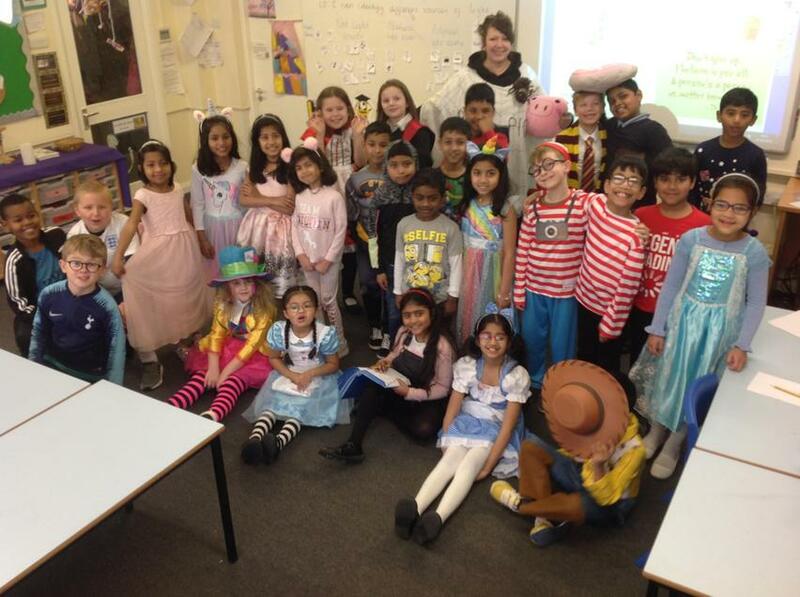 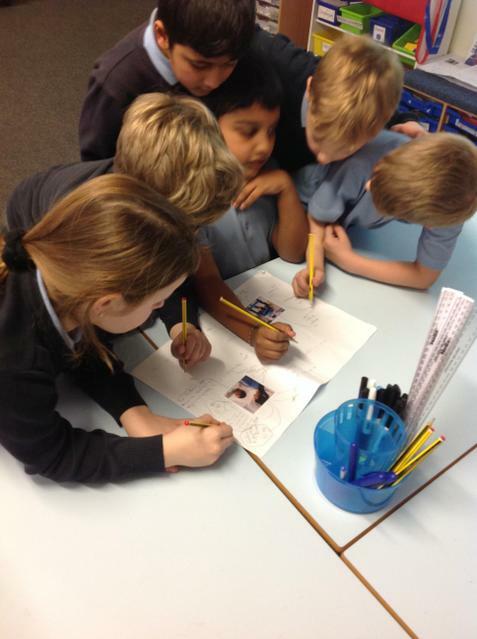 They all looked brilliant and loved talking about their favourite books and characters! 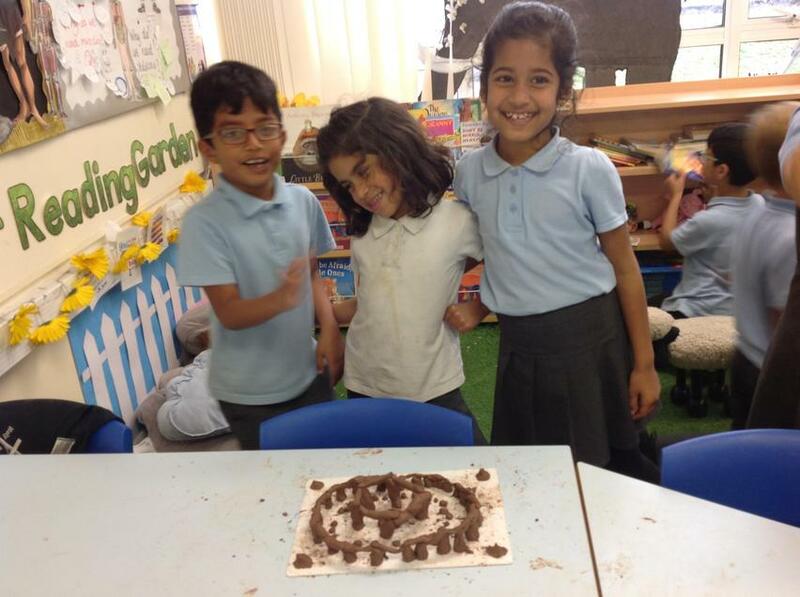 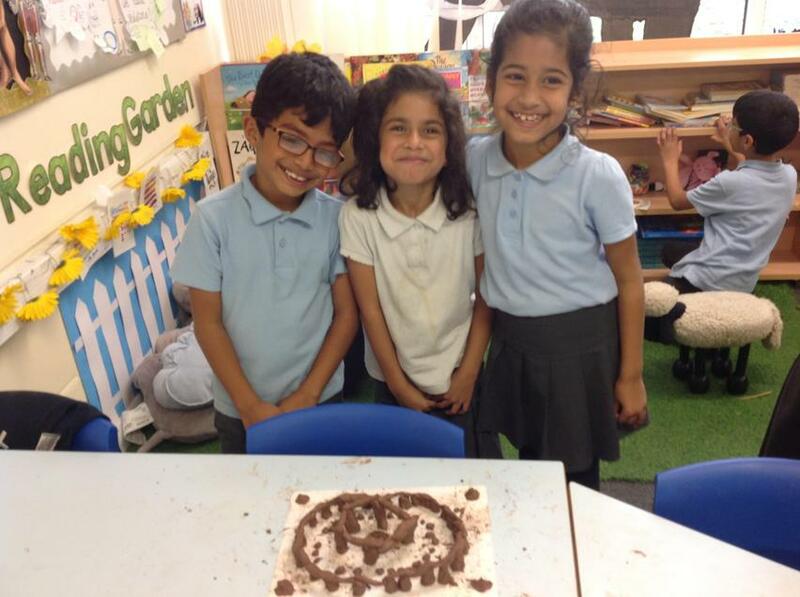 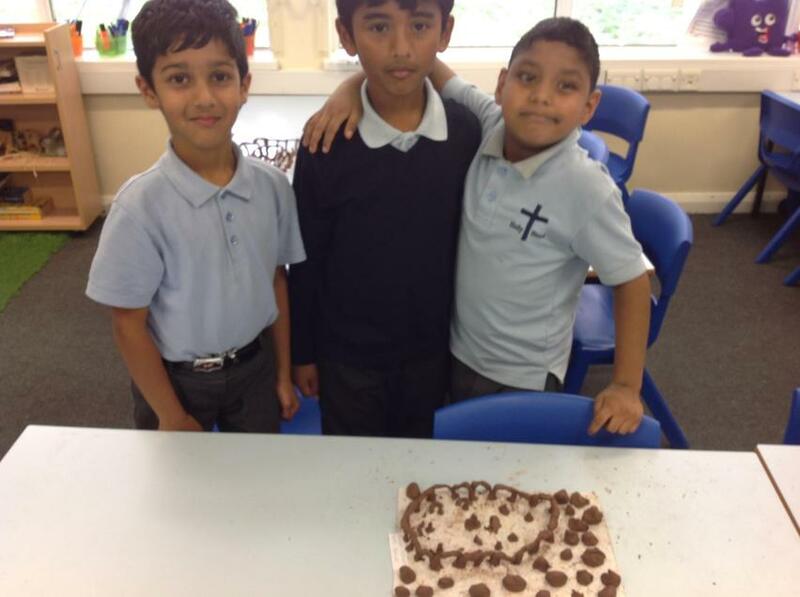 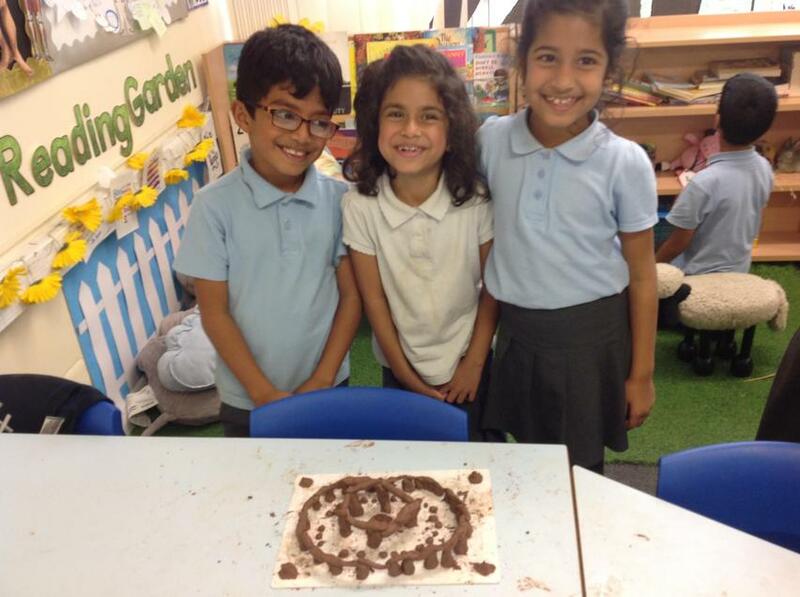 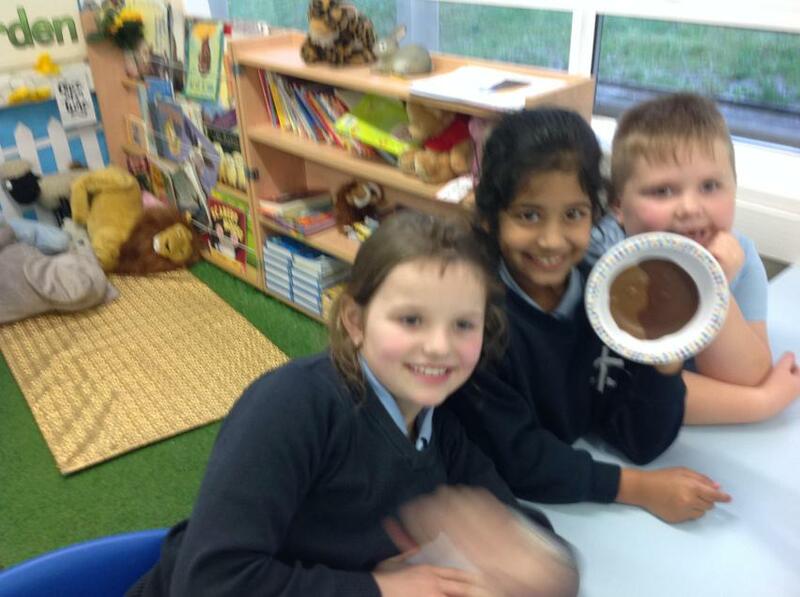 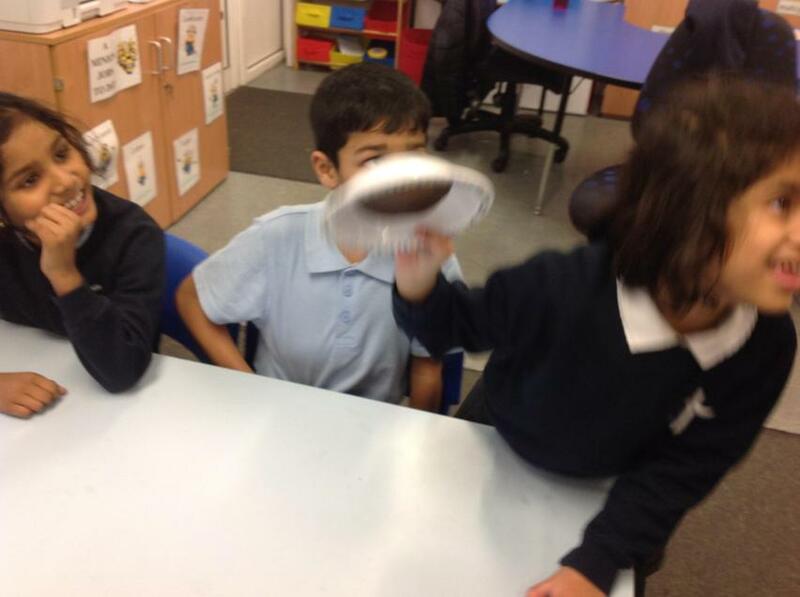 We have been learning all about volcanoes this term. 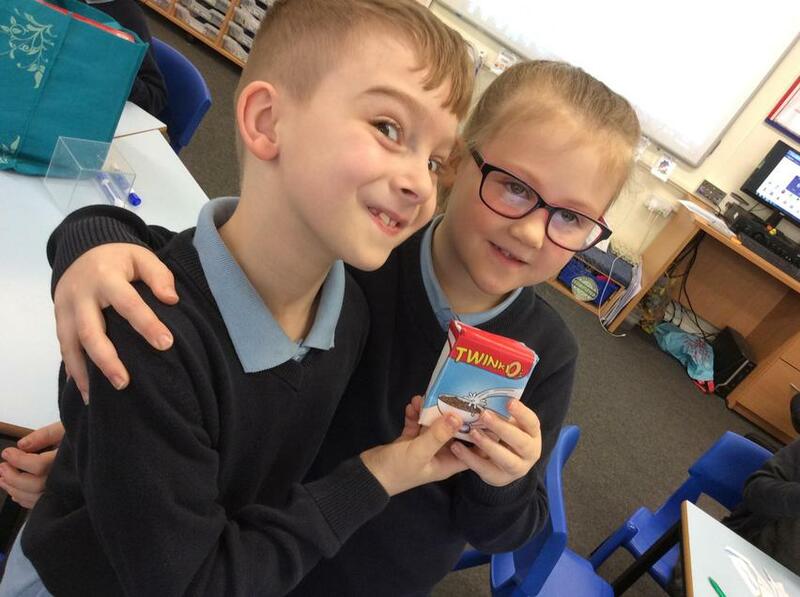 We are going to be creating our own explosive volcanoes so we have been experimenting with vinegar and bicarbonate of soda to see what reaction would happen! 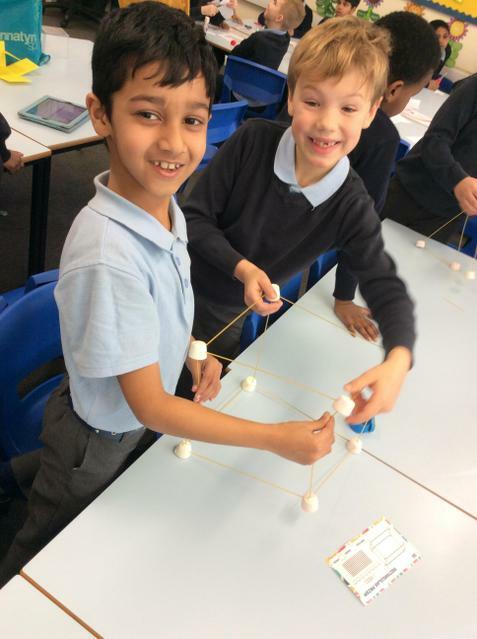 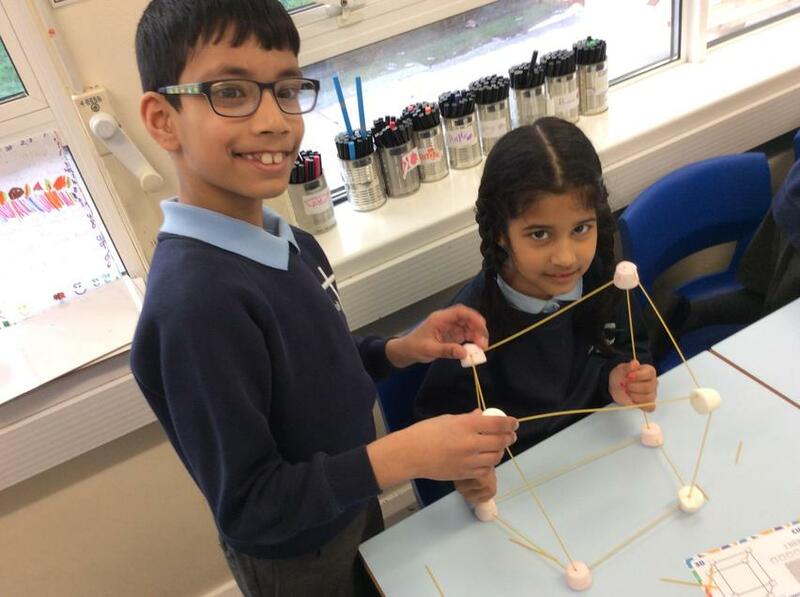 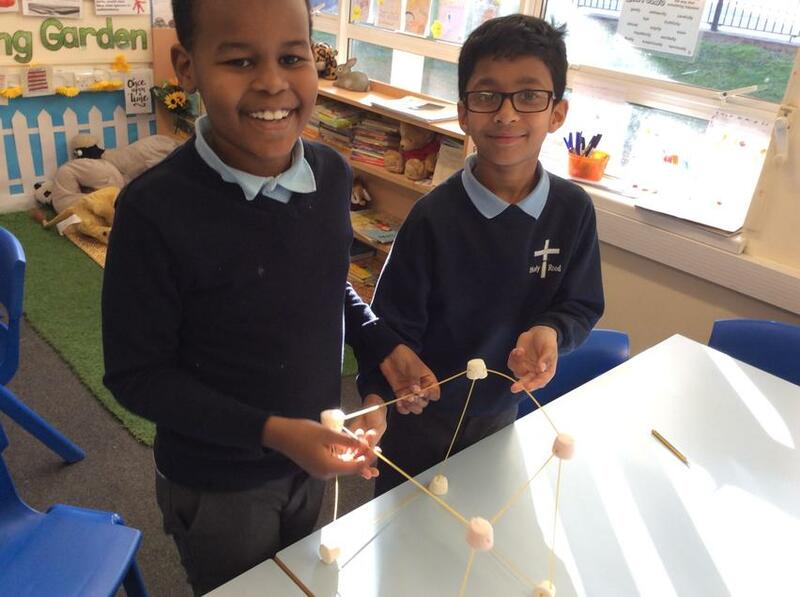 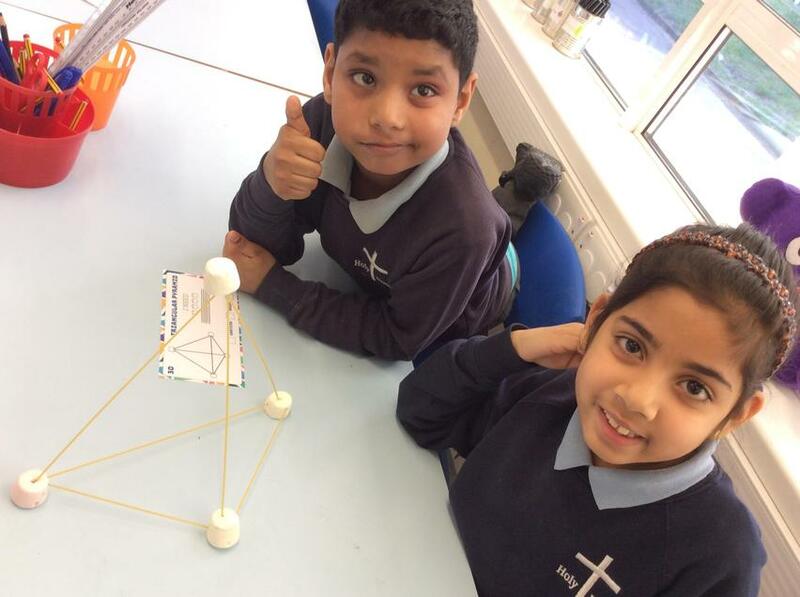 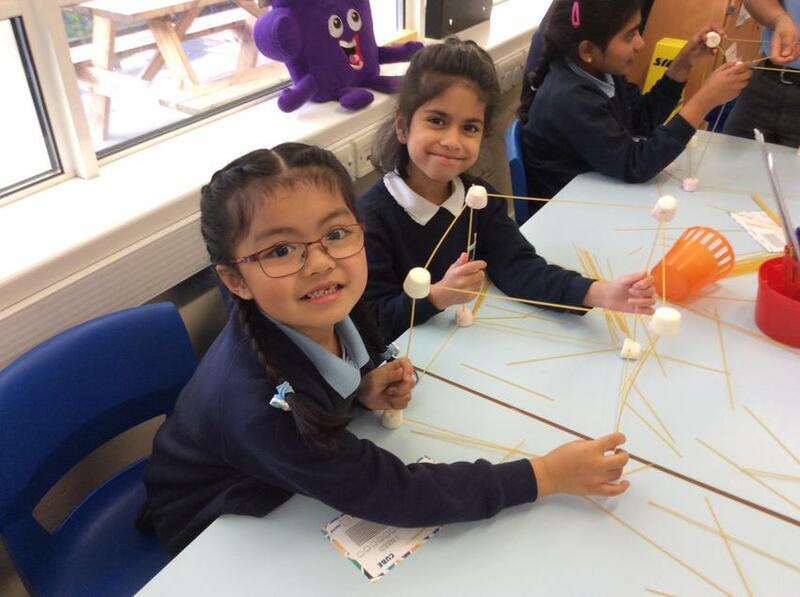 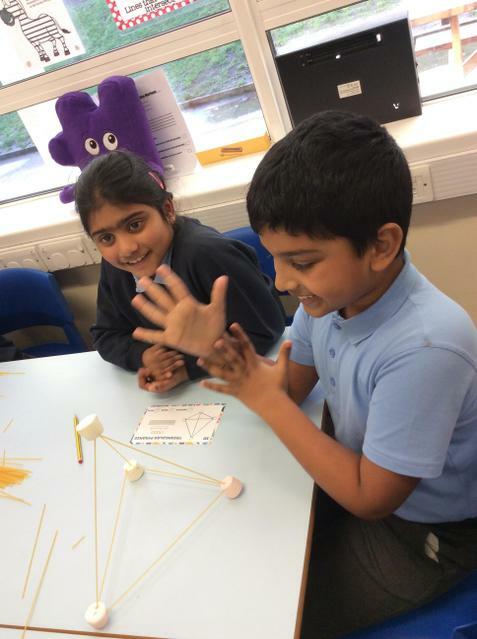 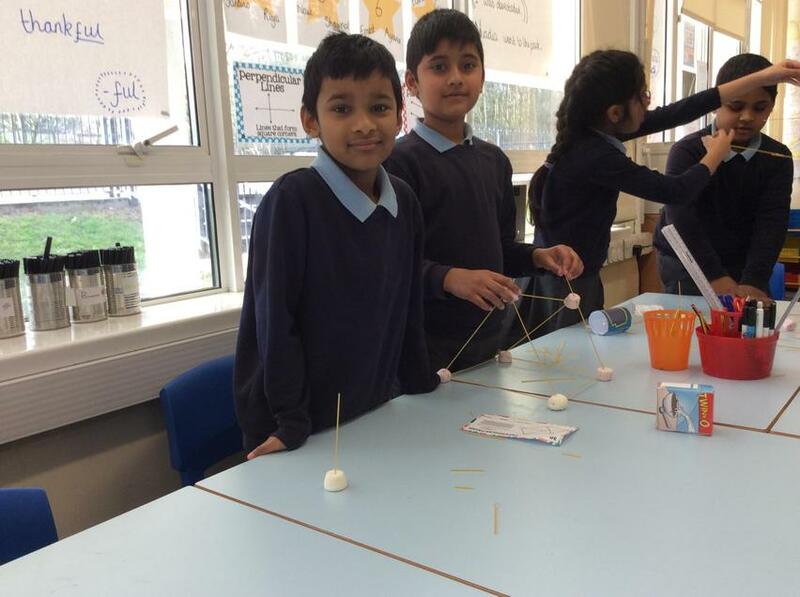 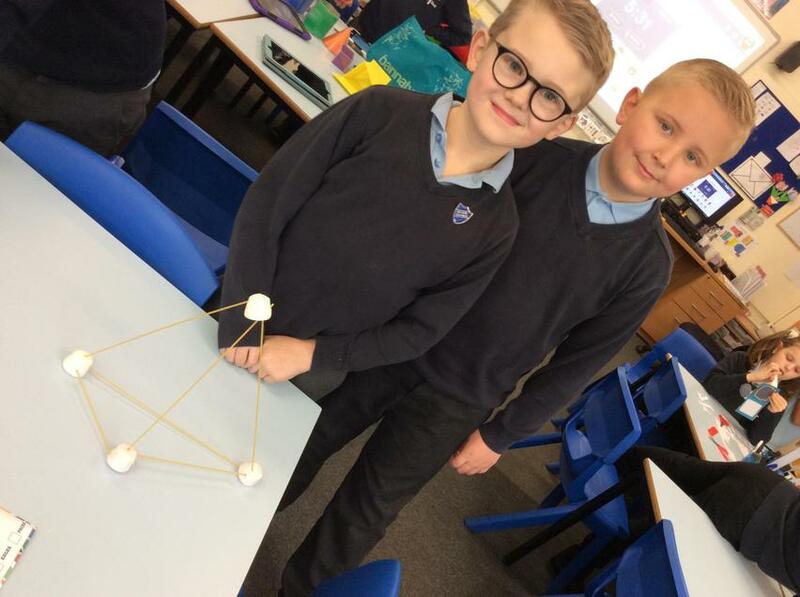 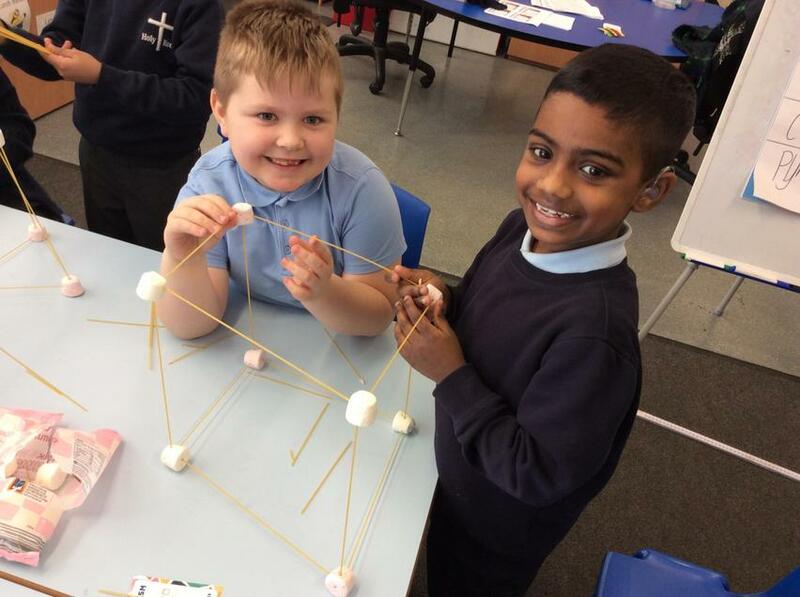 Yesterday we made 3D shapes using spaghetti and marshmallows and different nets. 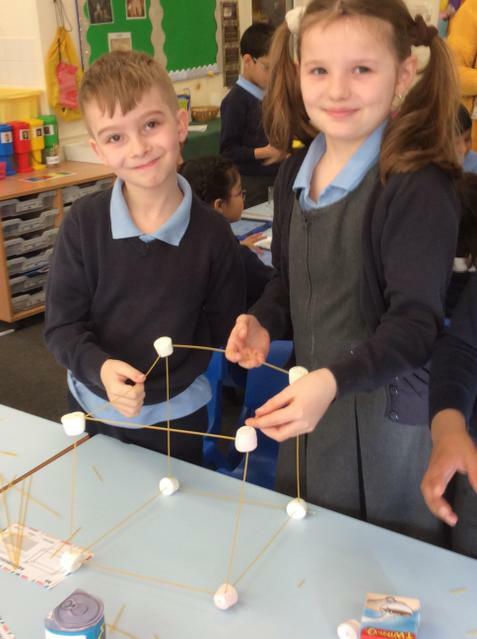 Although it was very sticky, we managed to build lots of different shapes! 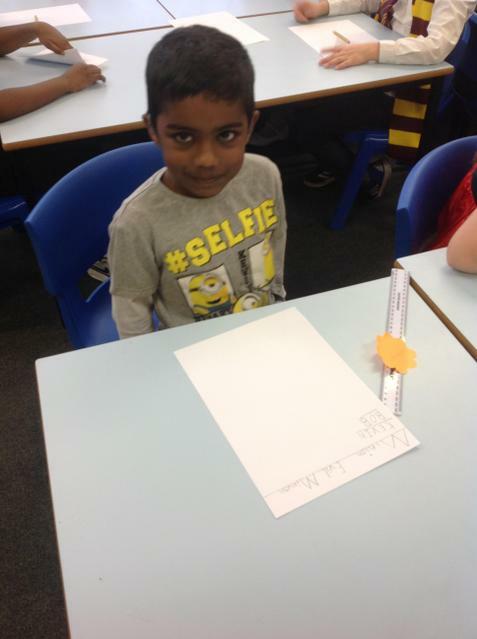 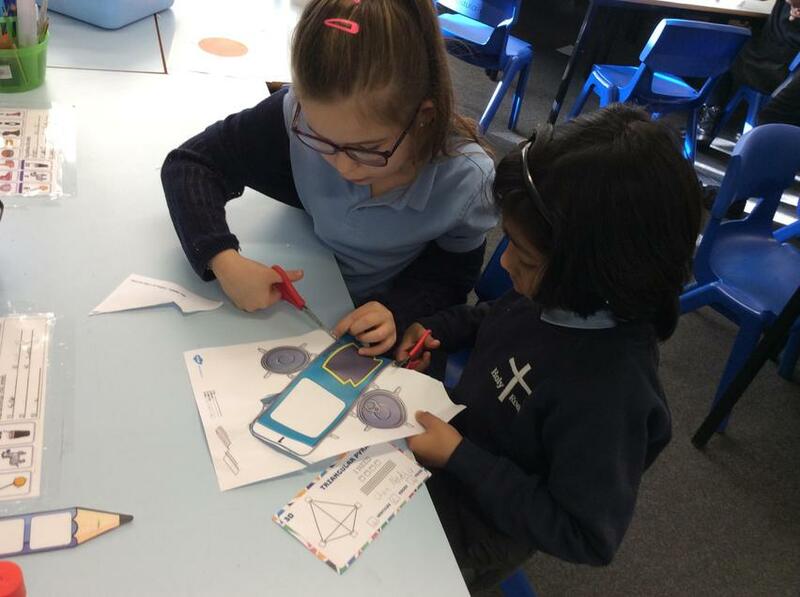 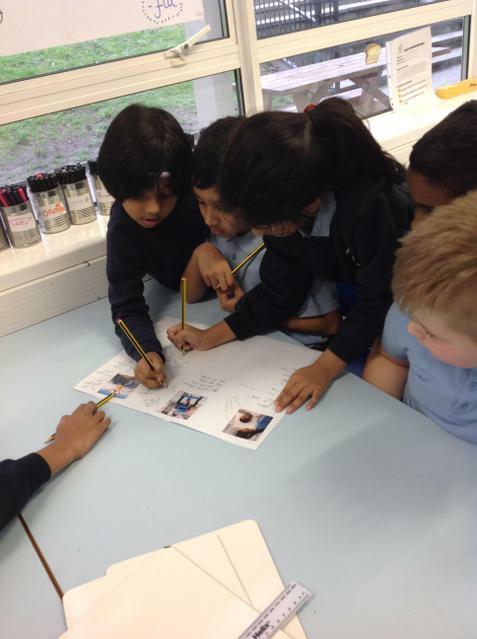 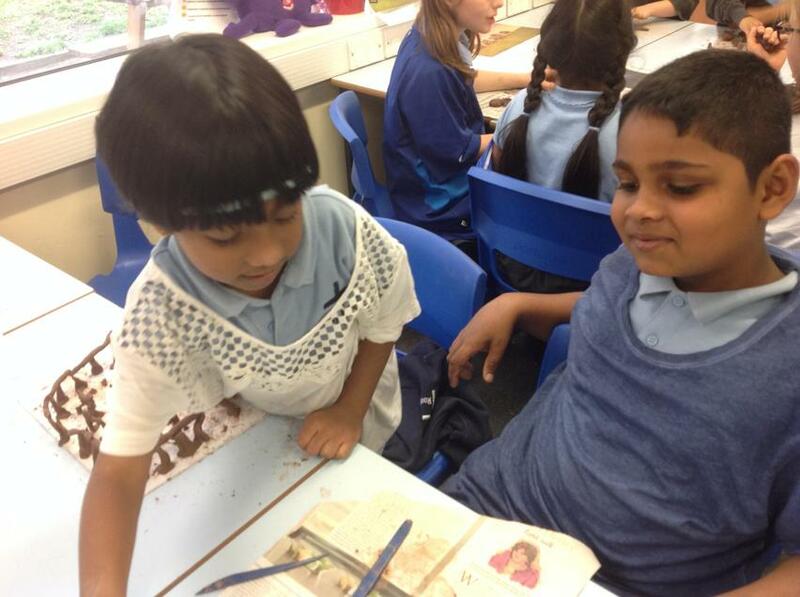 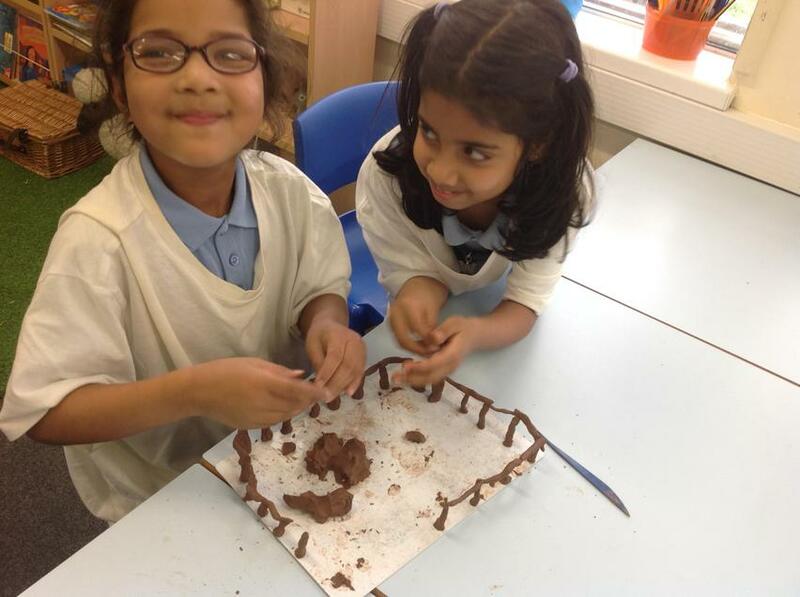 Miss Masi was very impressed with how well we worked in pairs to get the job done! 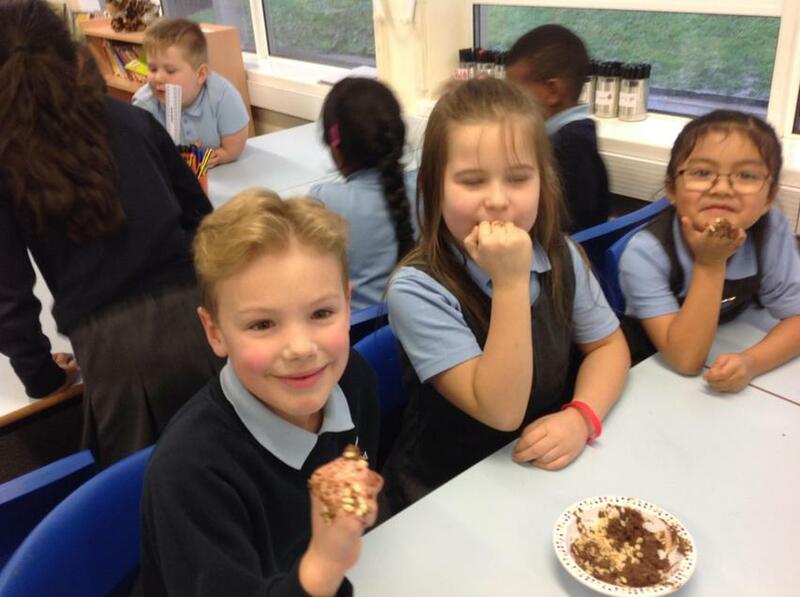 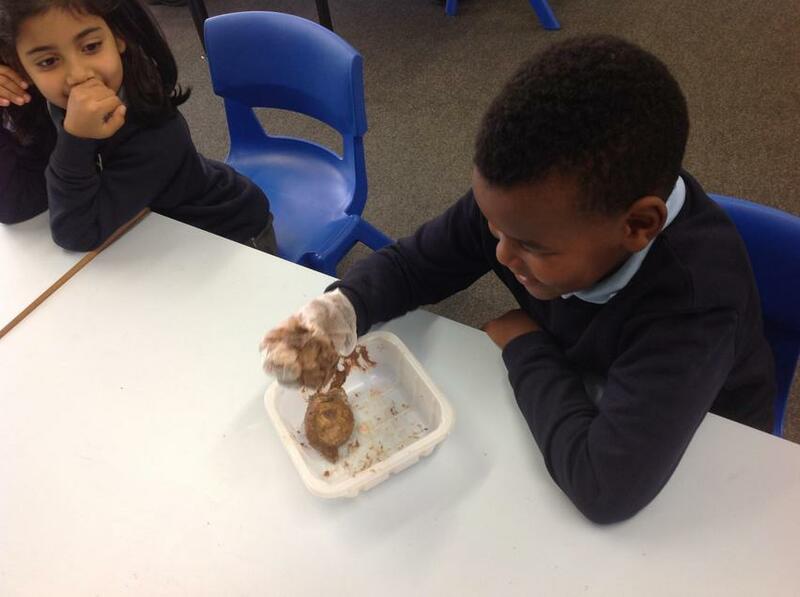 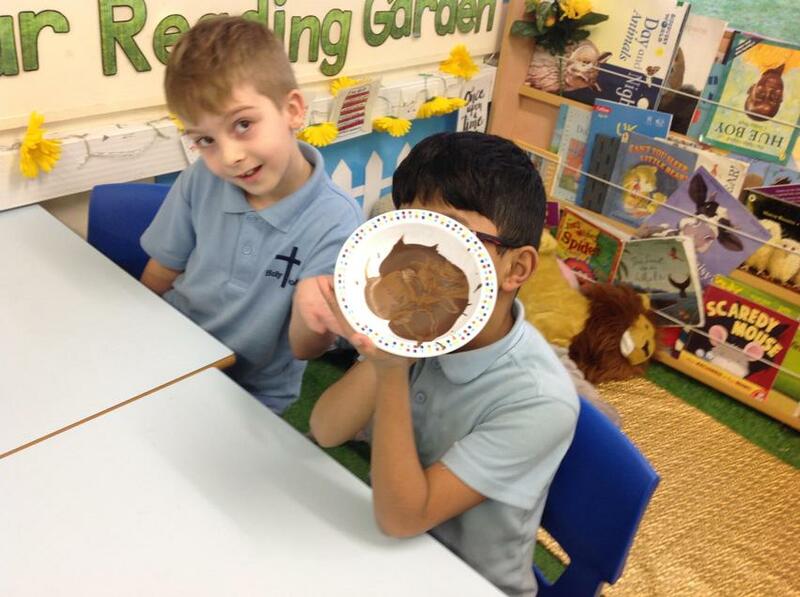 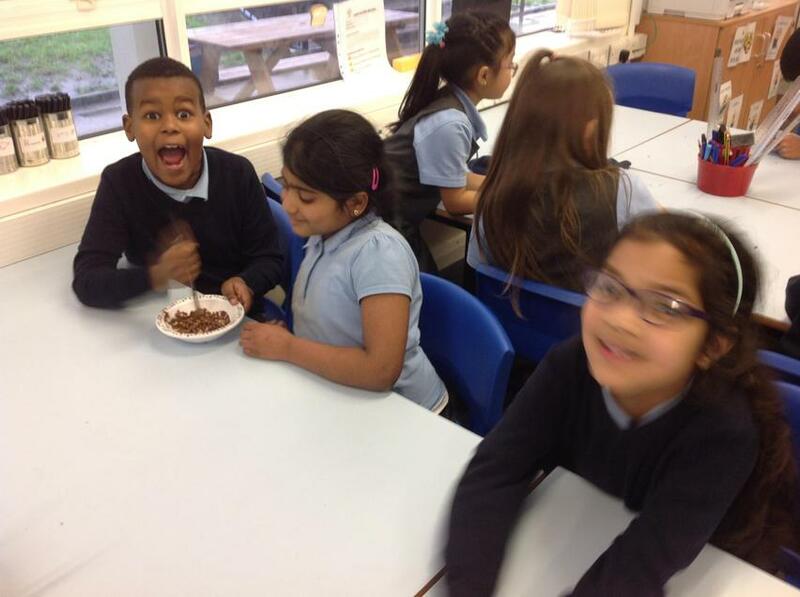 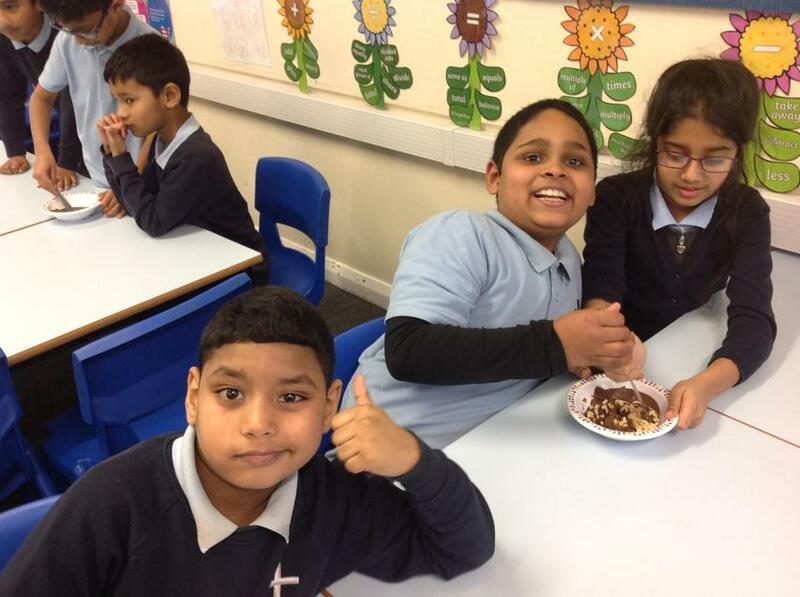 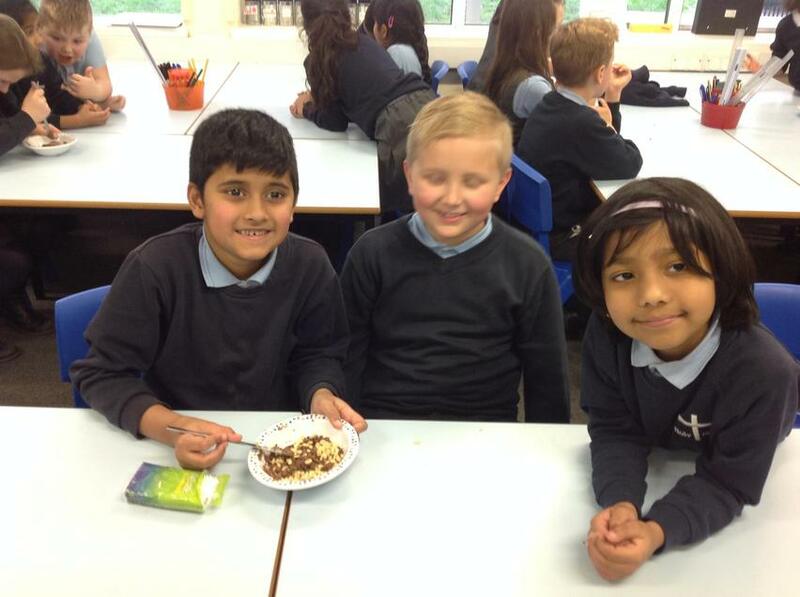 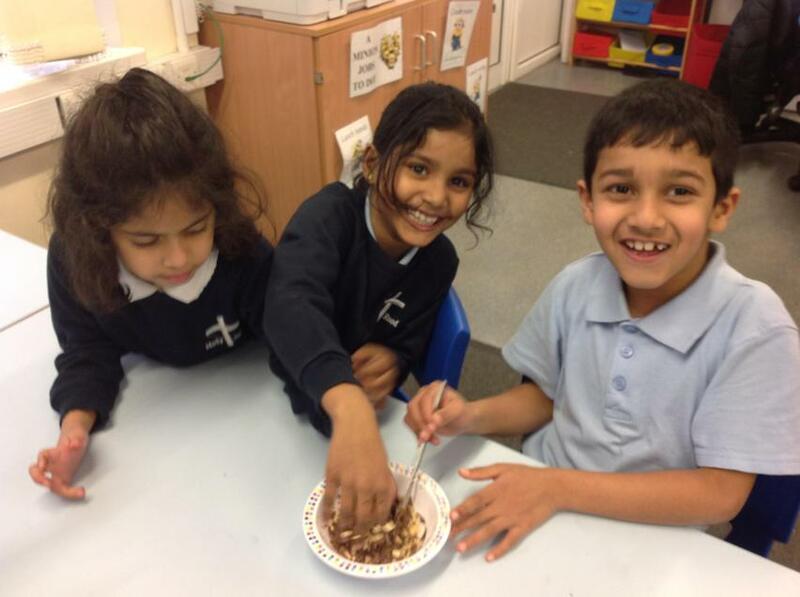 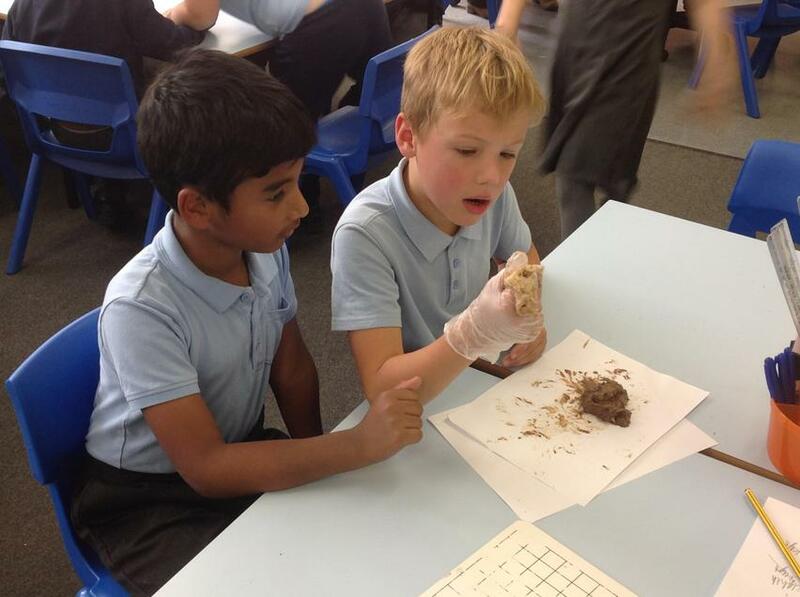 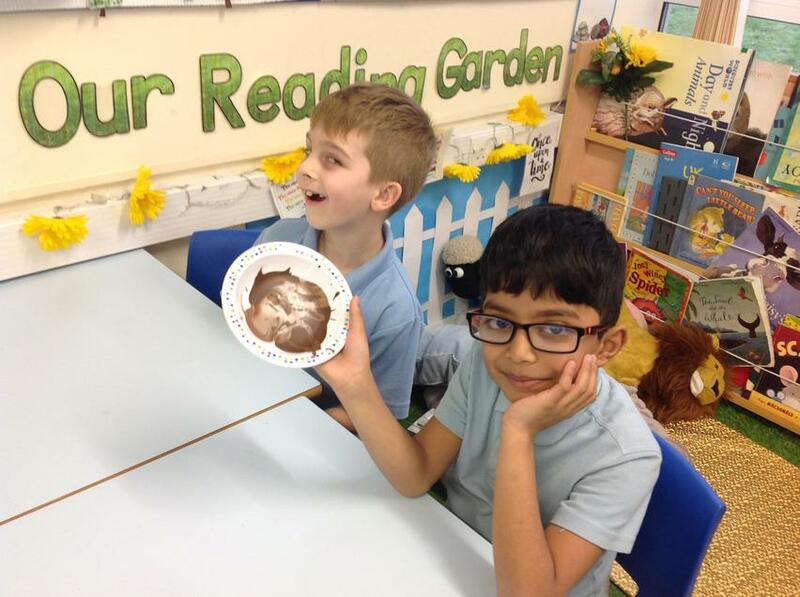 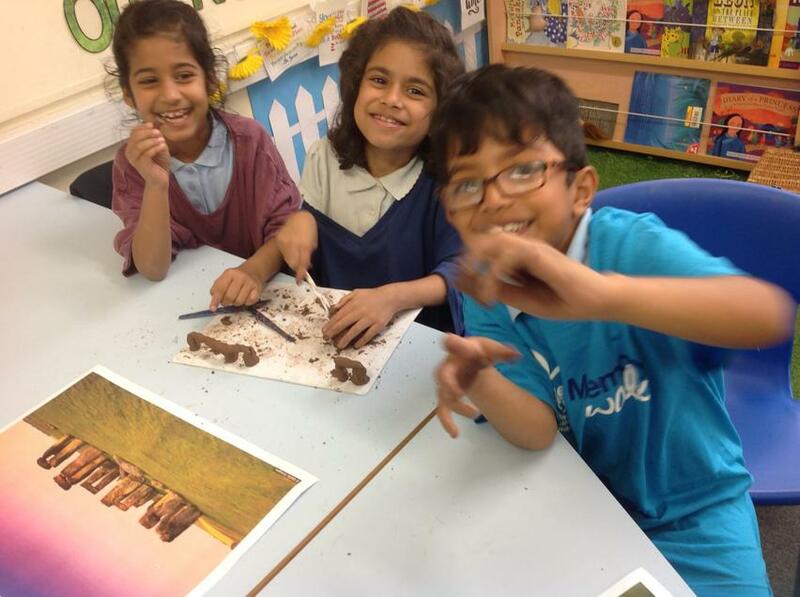 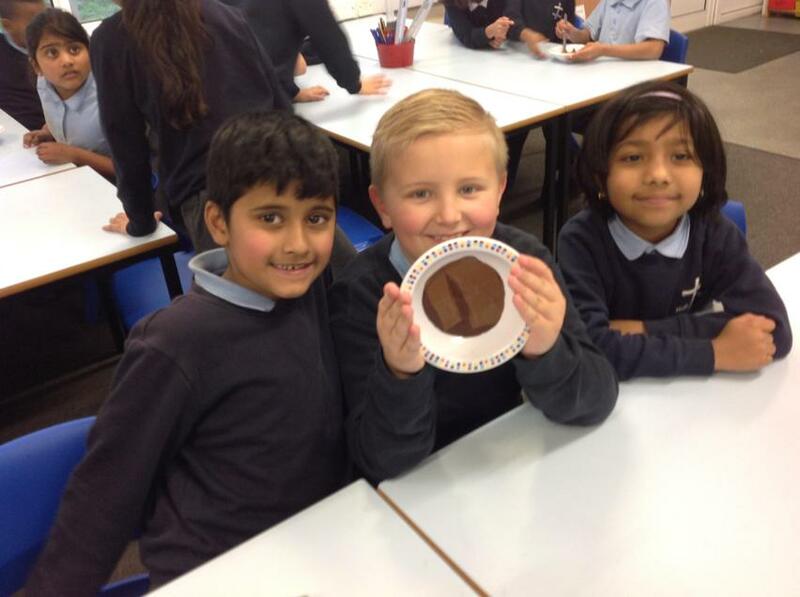 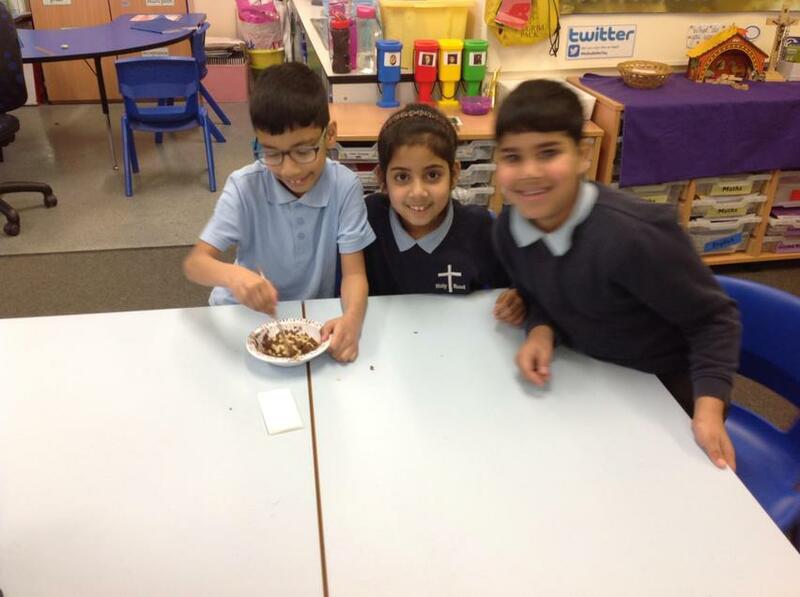 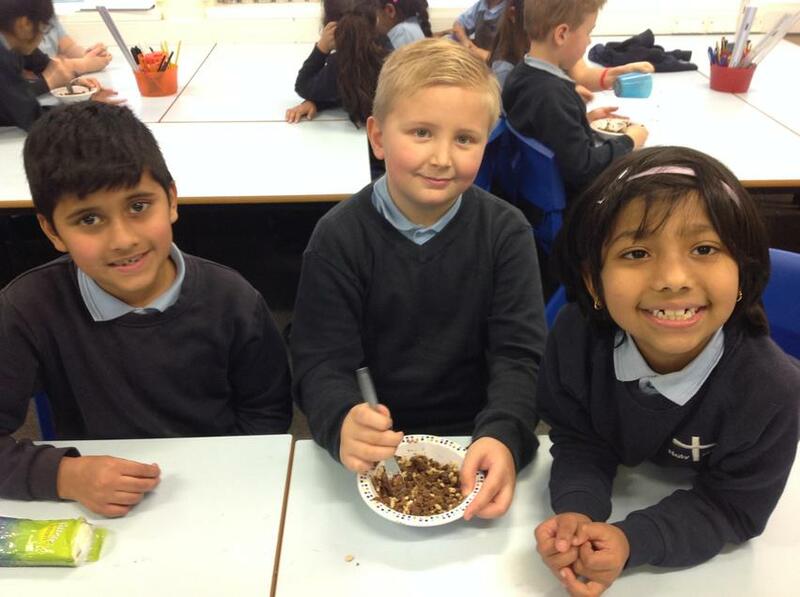 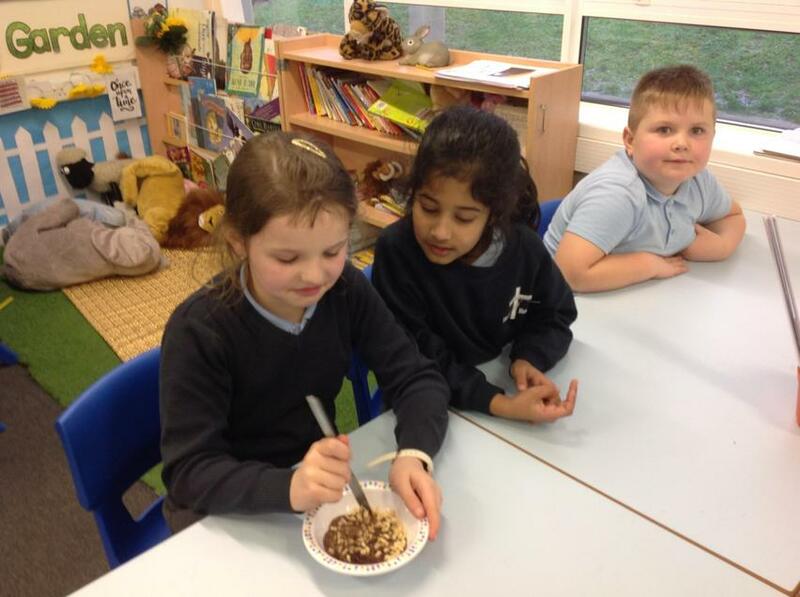 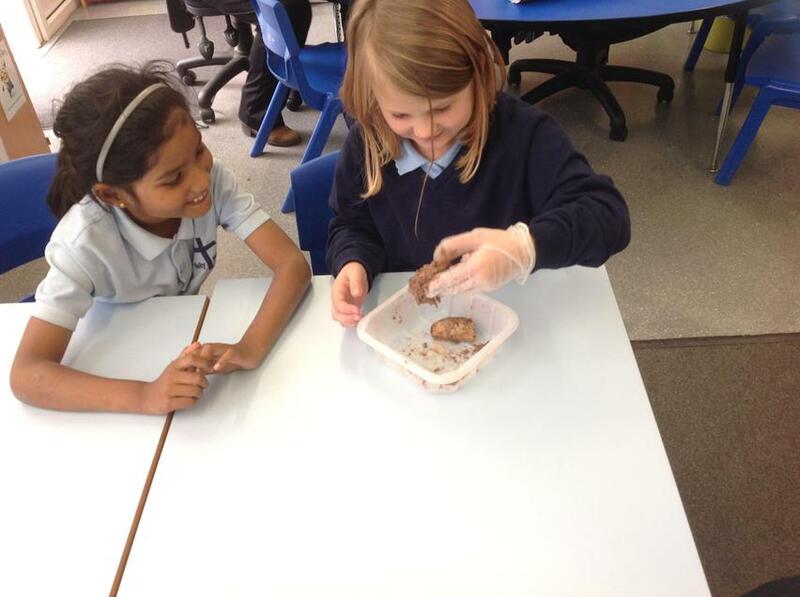 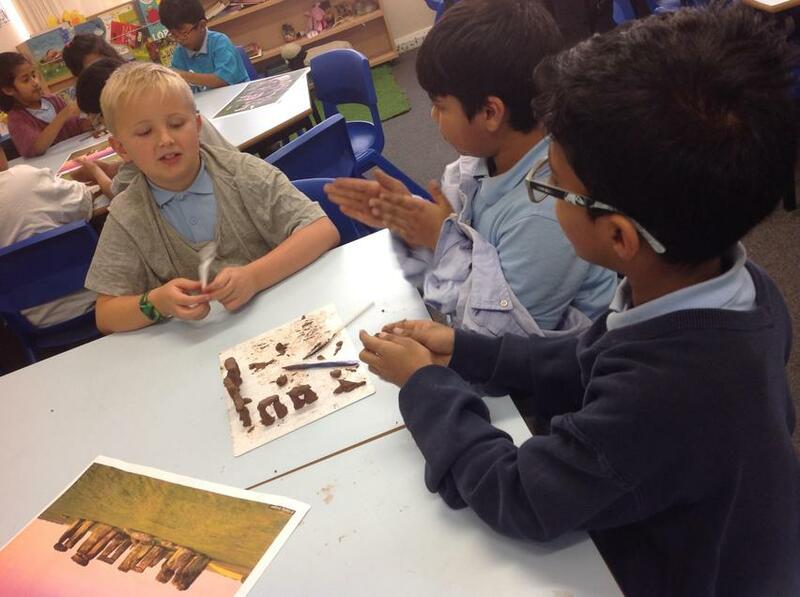 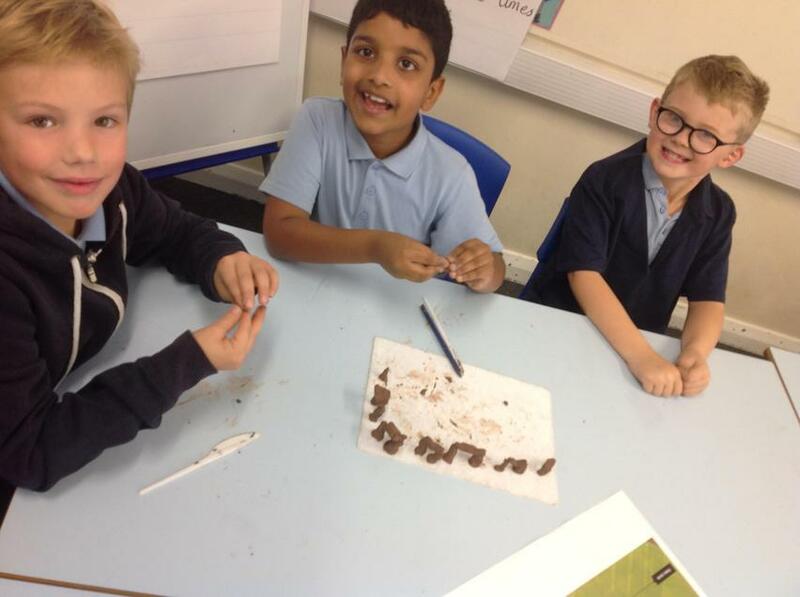 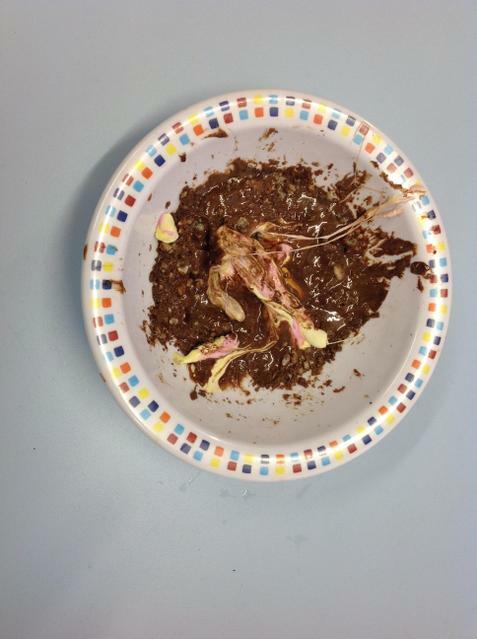 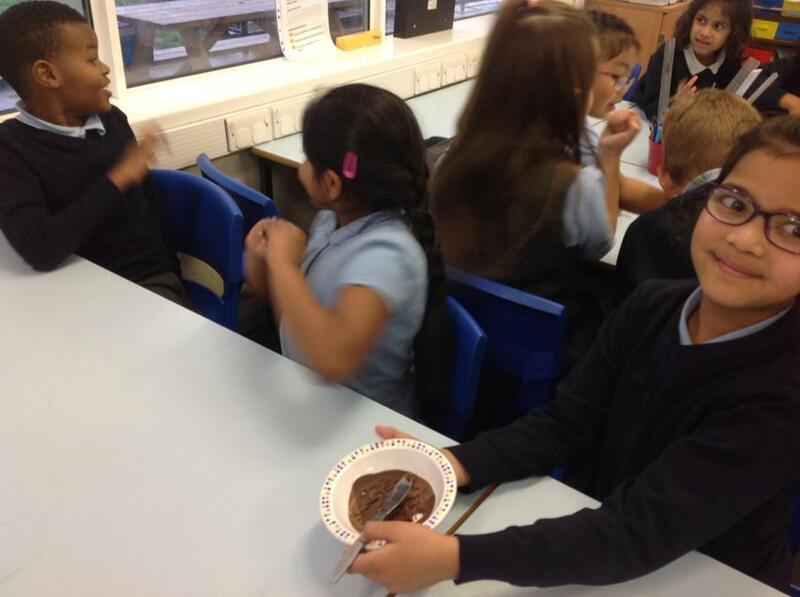 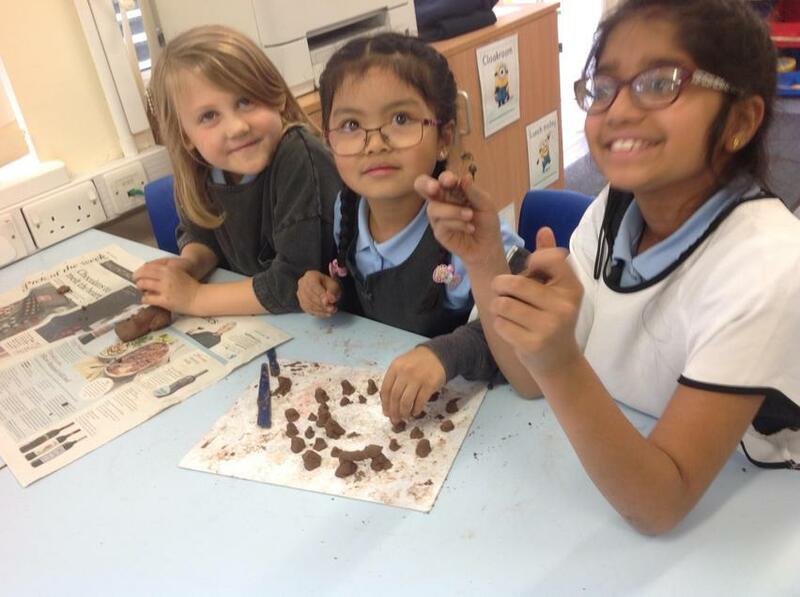 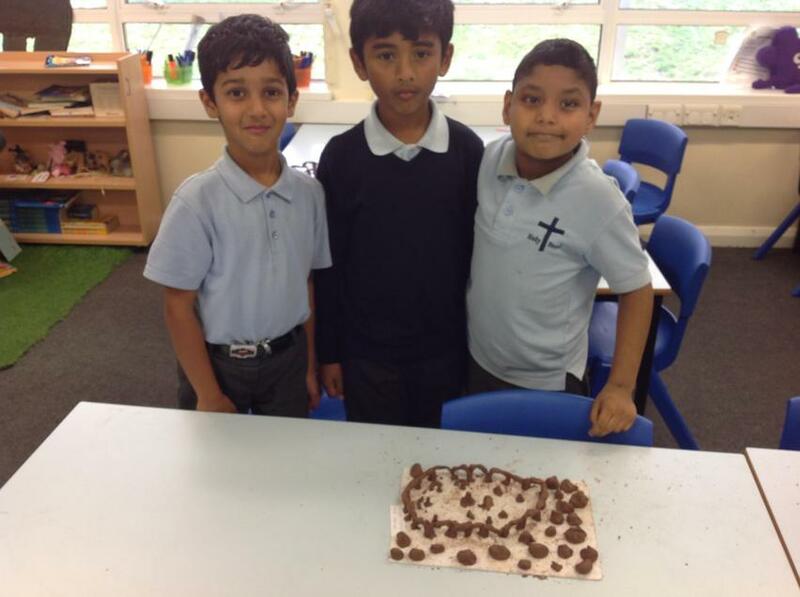 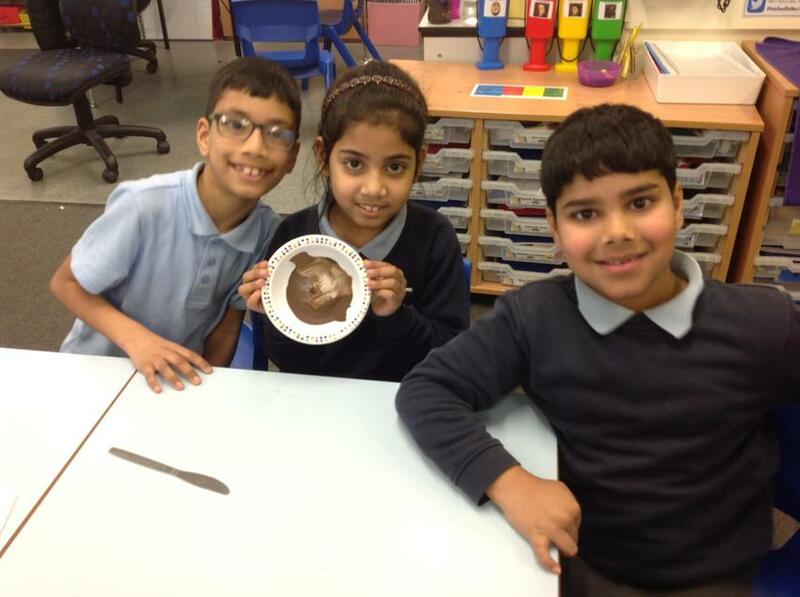 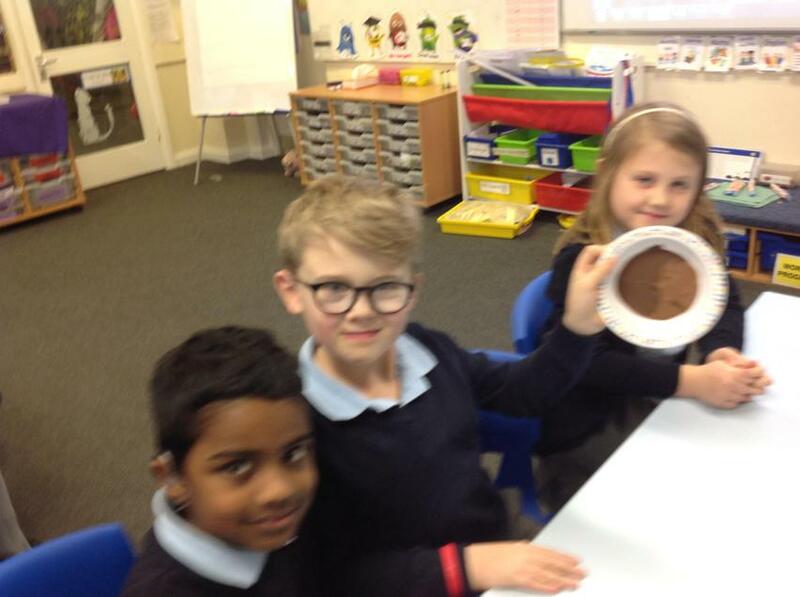 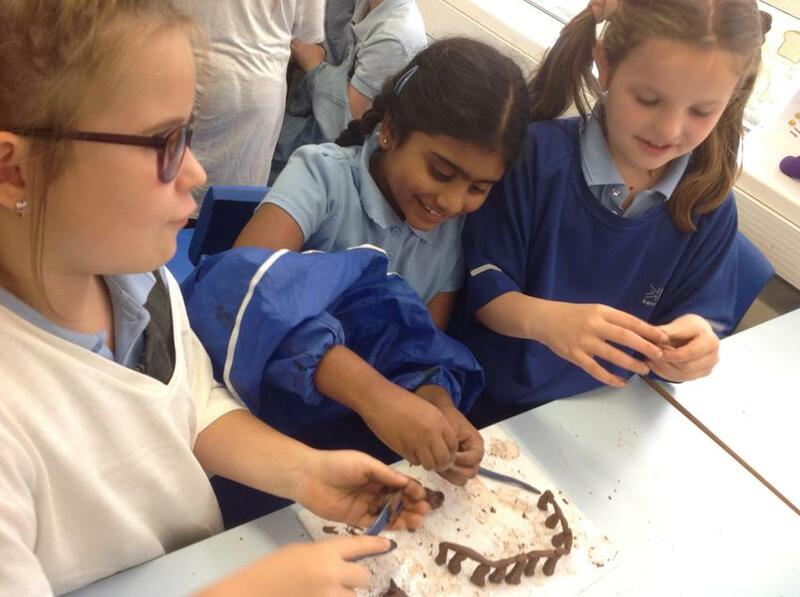 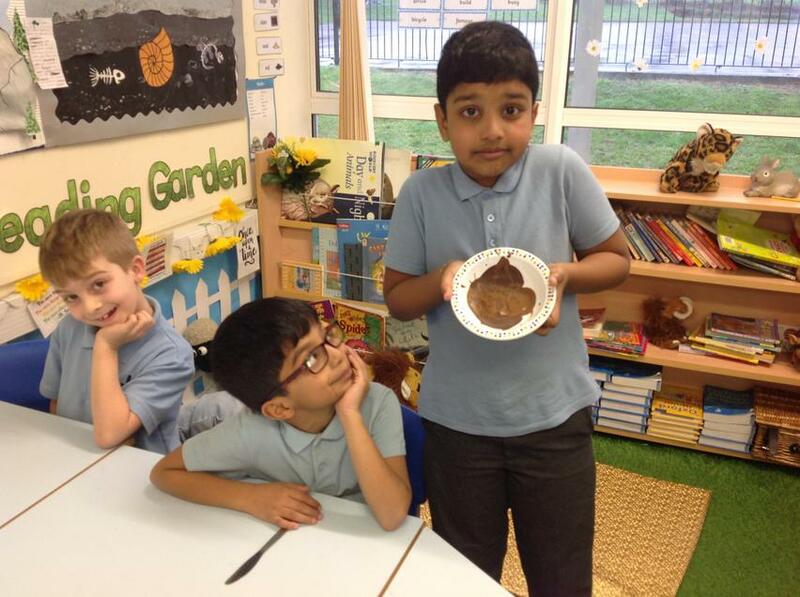 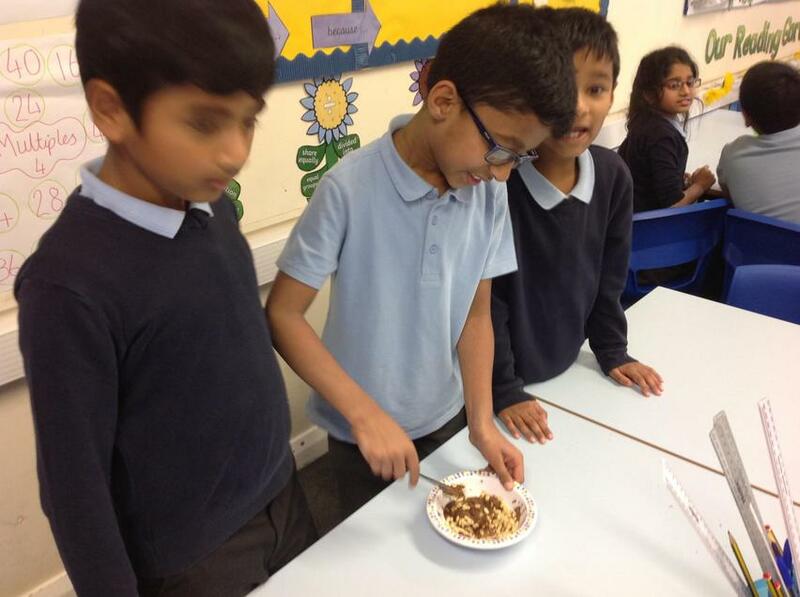 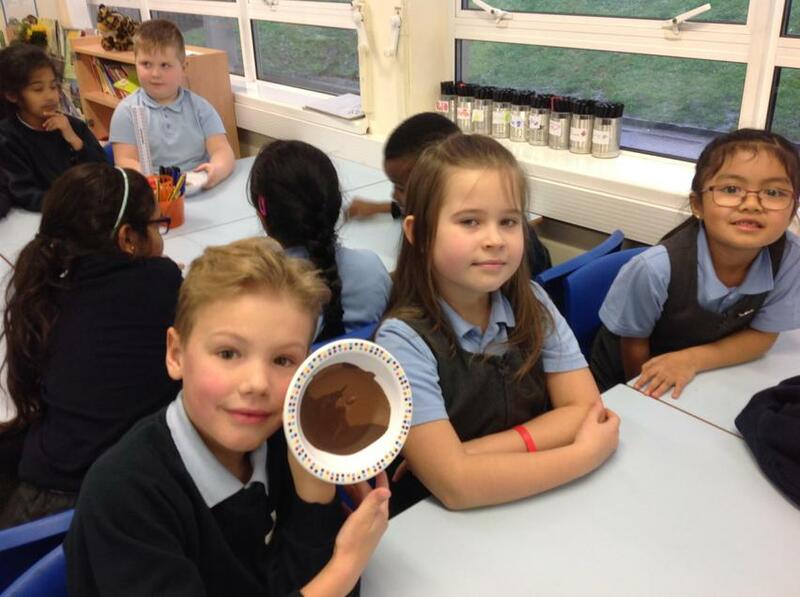 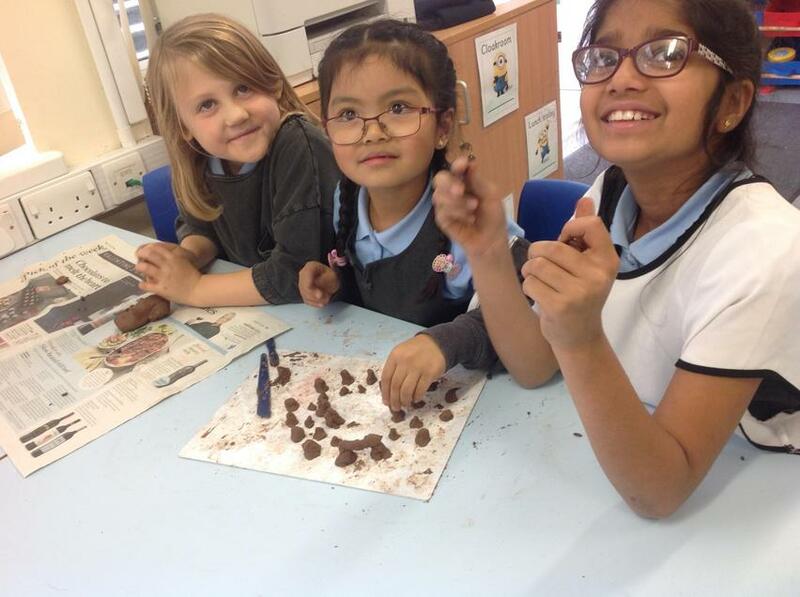 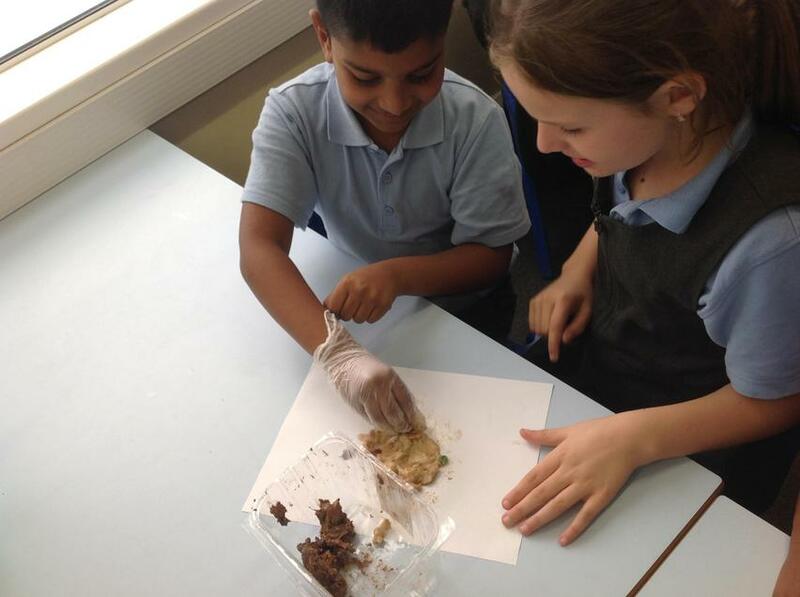 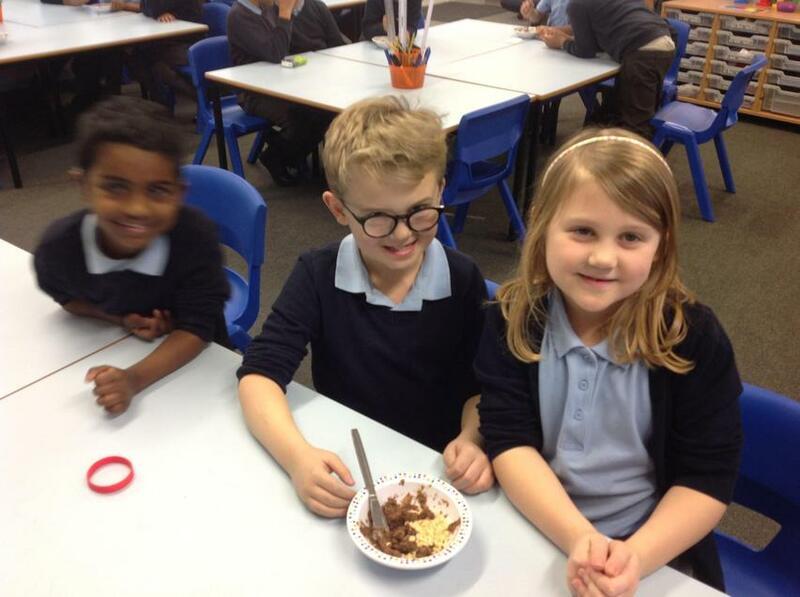 We really enjoyed making chocolate rocks to learn all about the rock cycle. 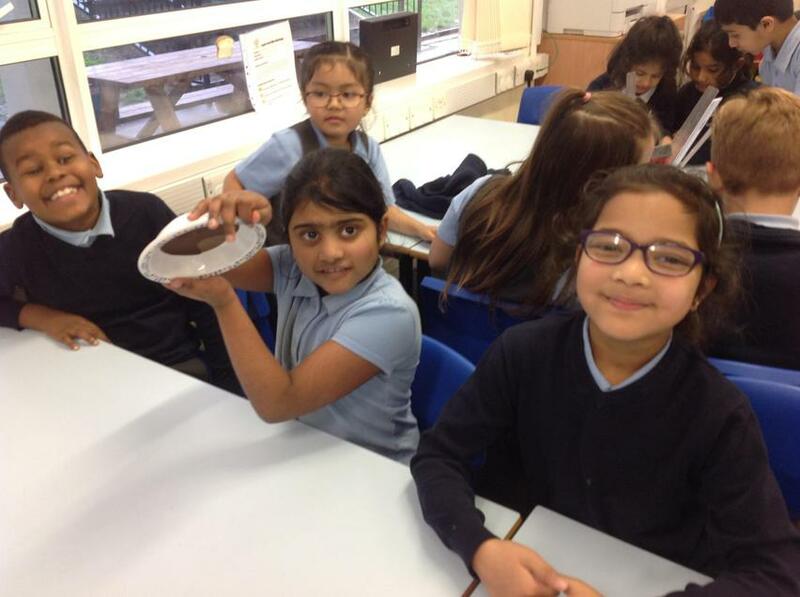 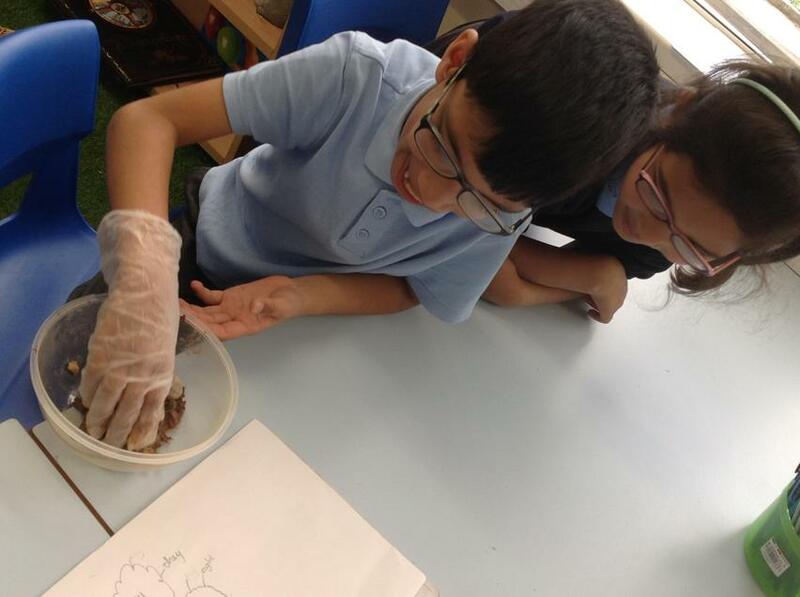 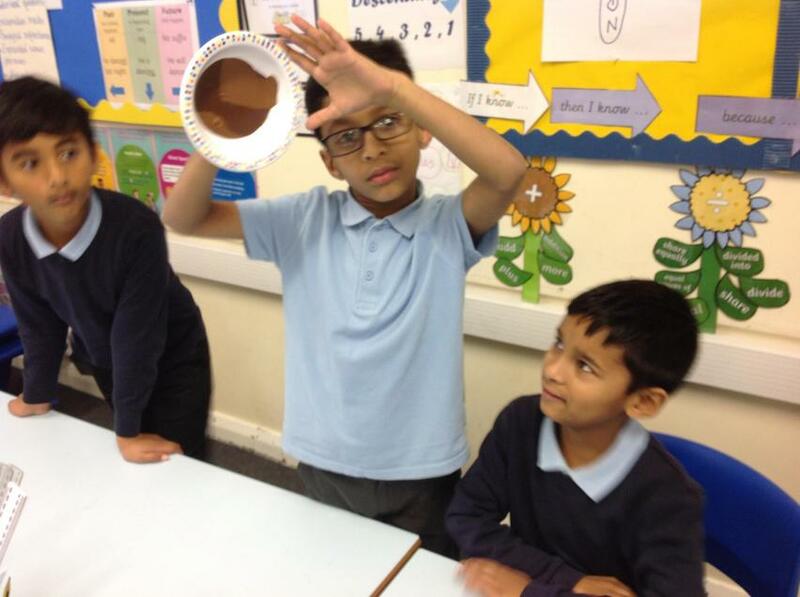 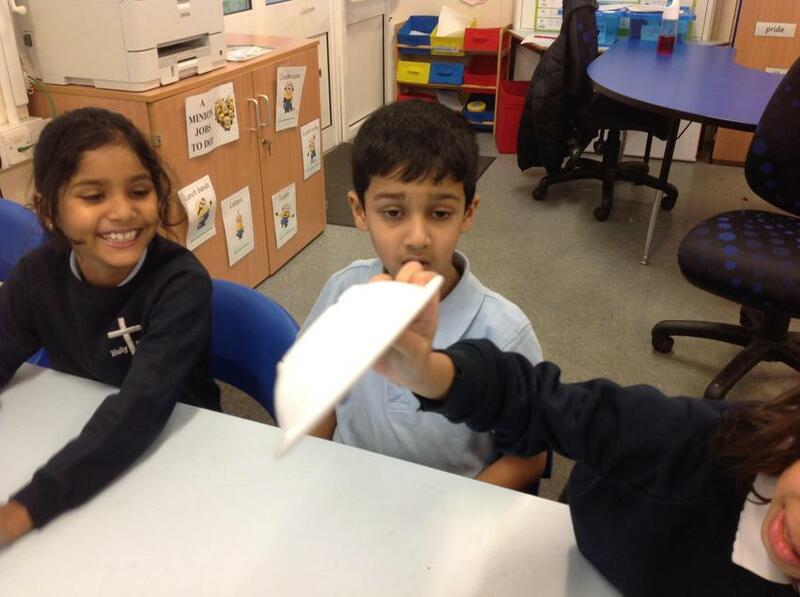 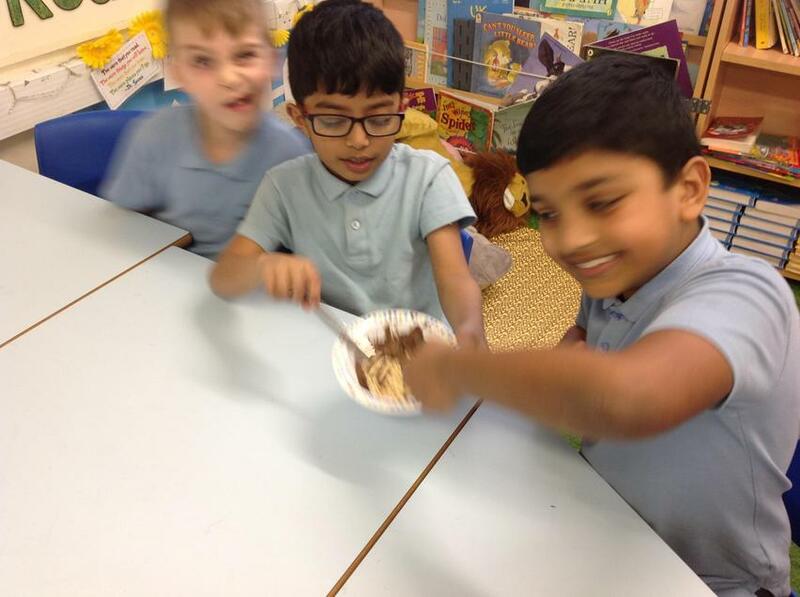 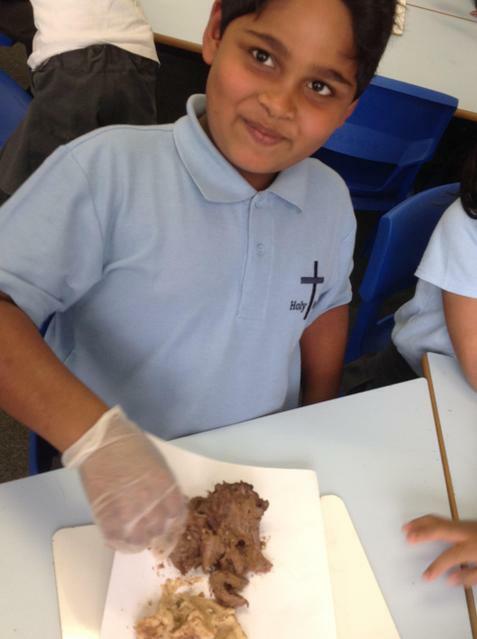 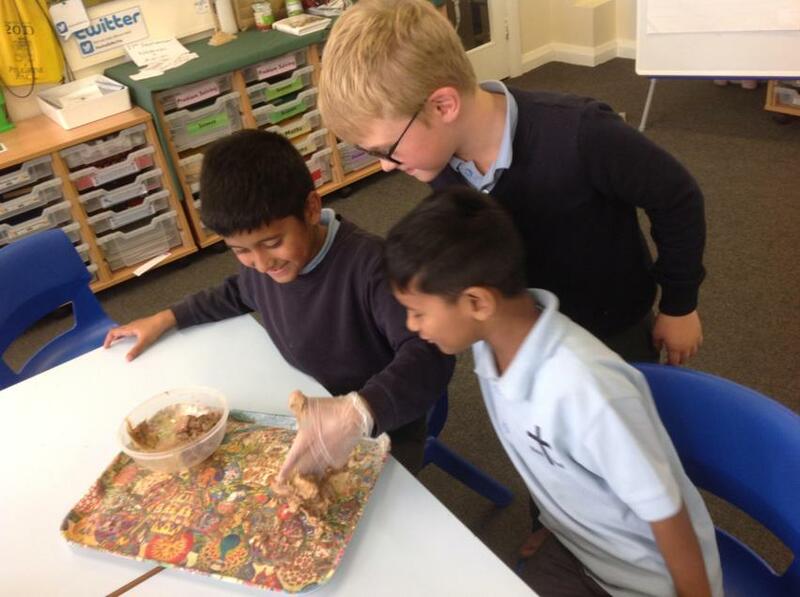 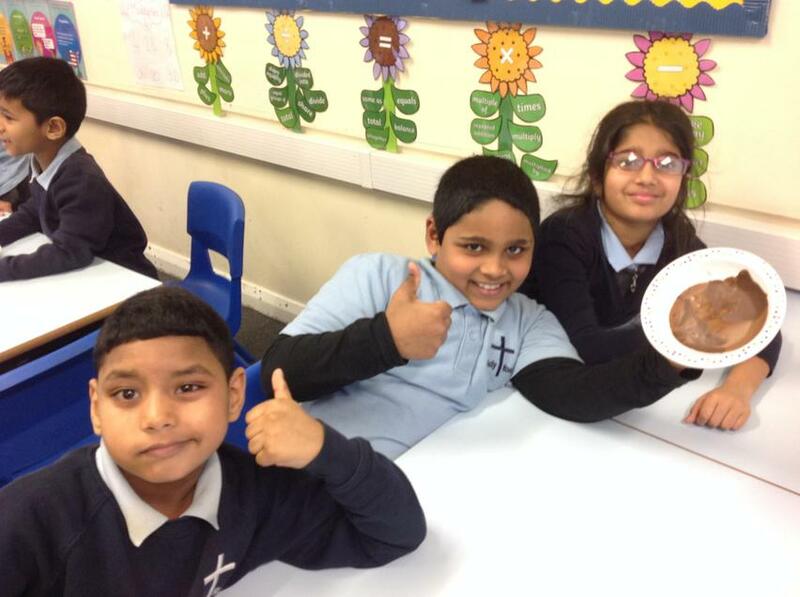 We learnt about igneous, metamorphic and sedimentary rocks! 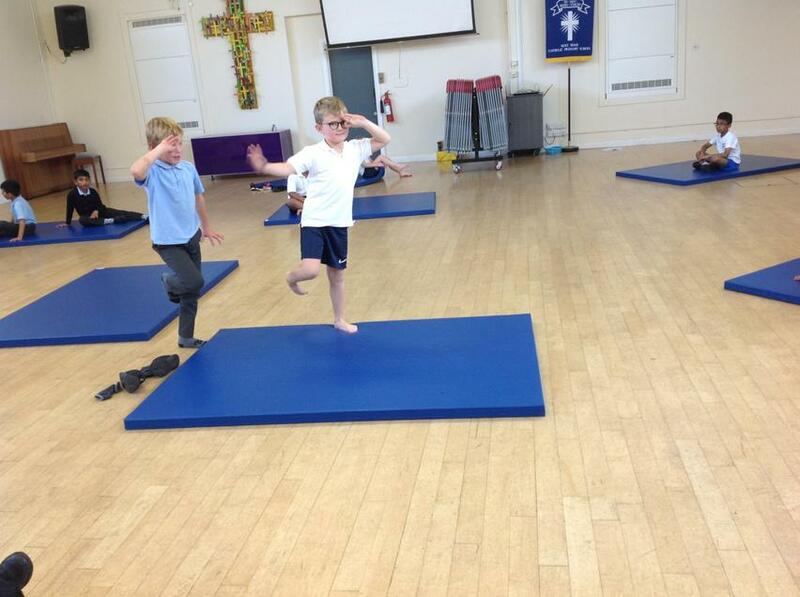 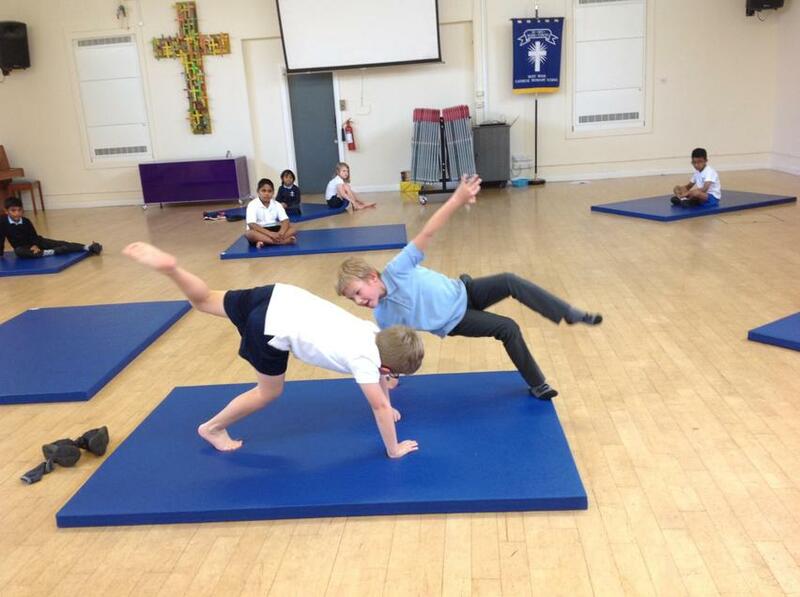 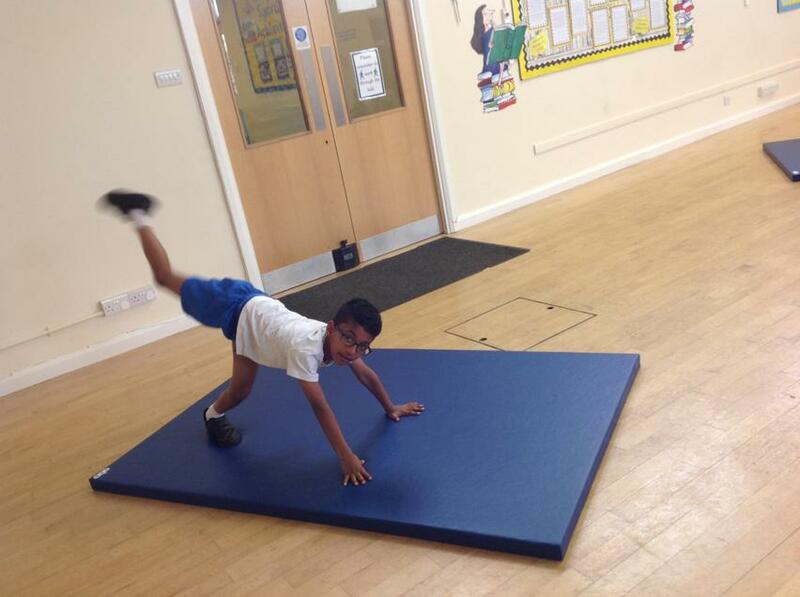 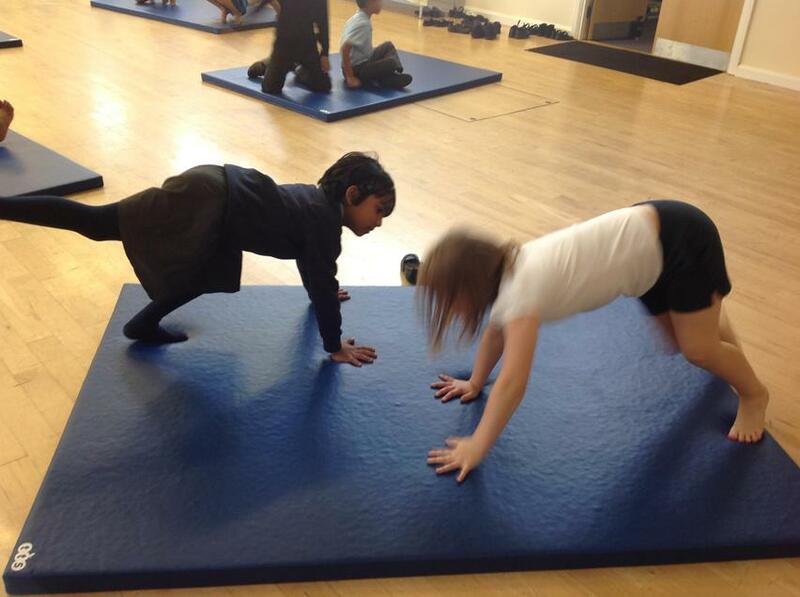 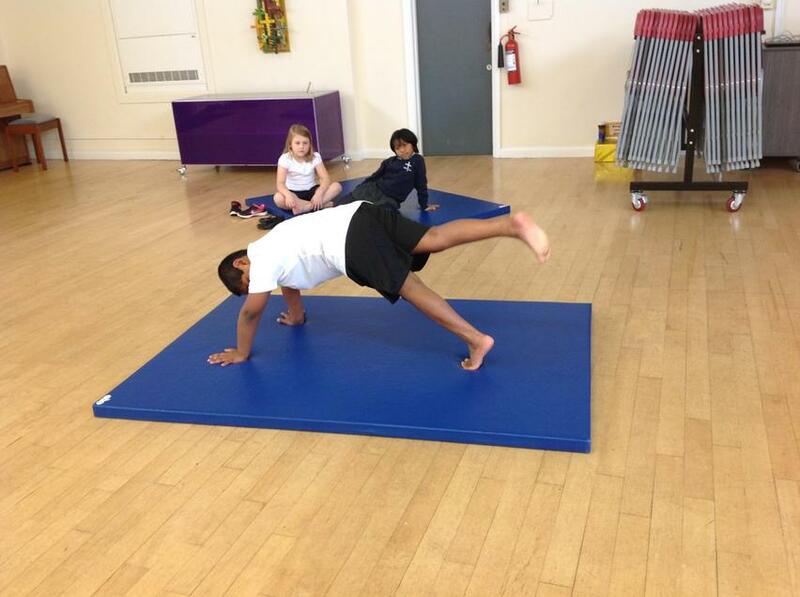 We have really enjoyed getting creative with our gymnastics' balances this term! 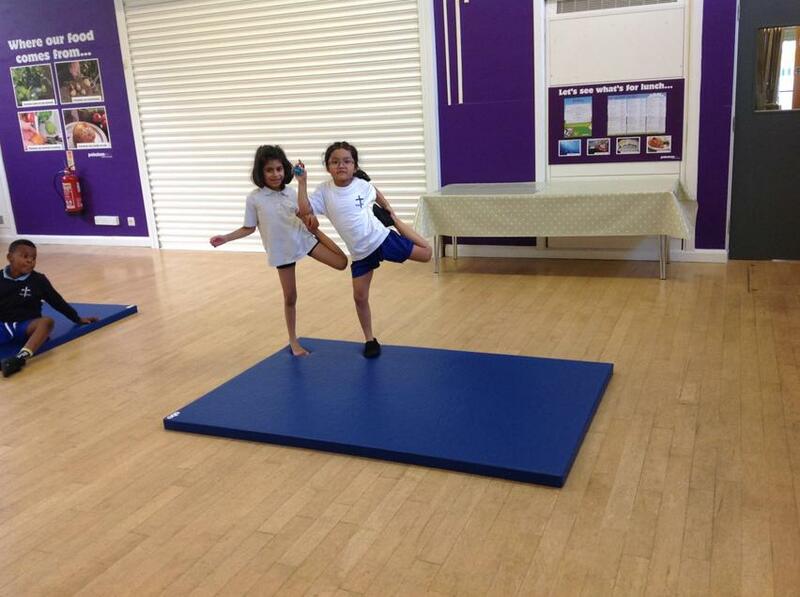 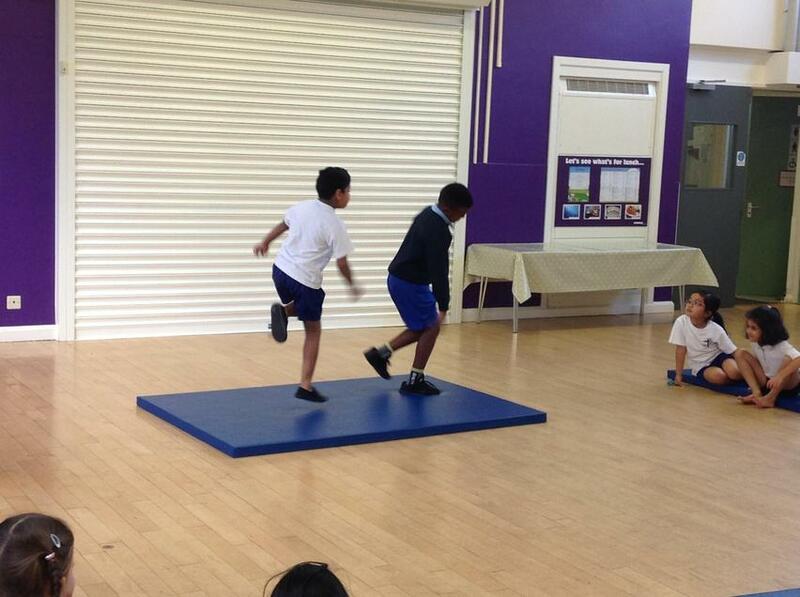 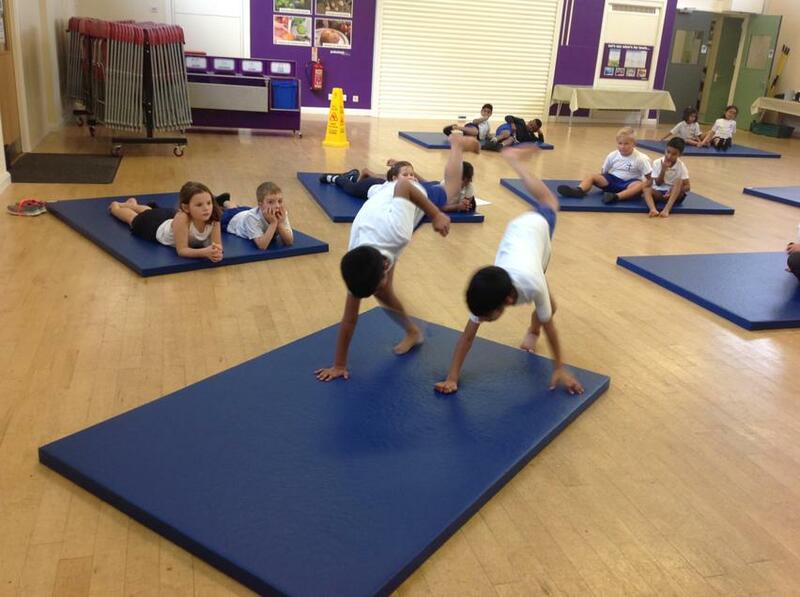 We will be developing our skills in gymnastics to create a sequence using various types of travelling and balances. 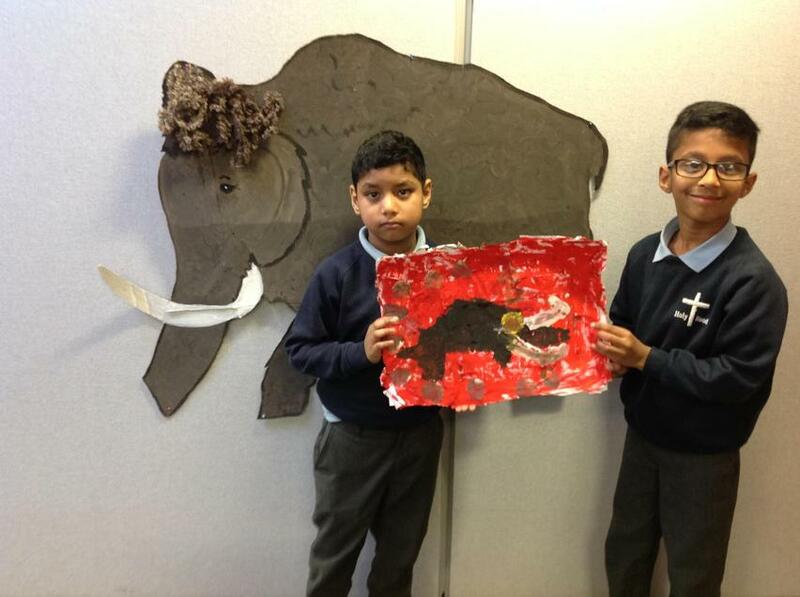 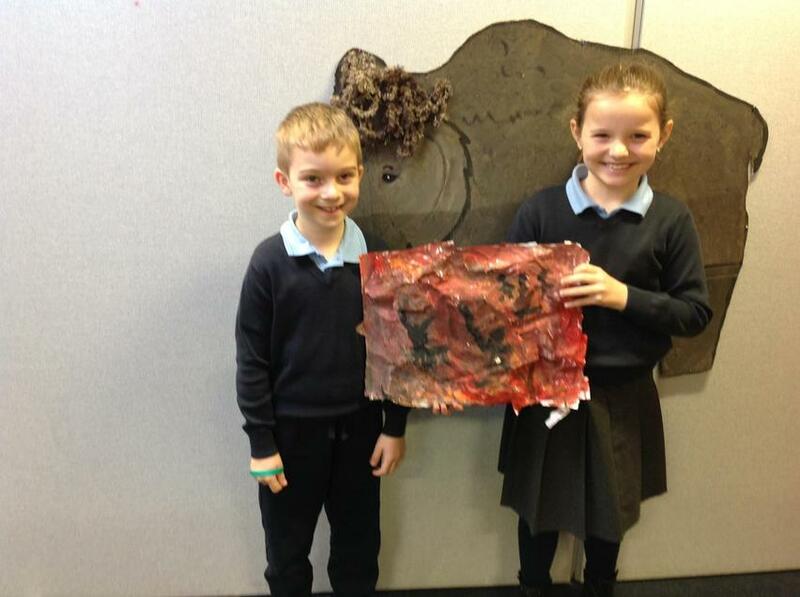 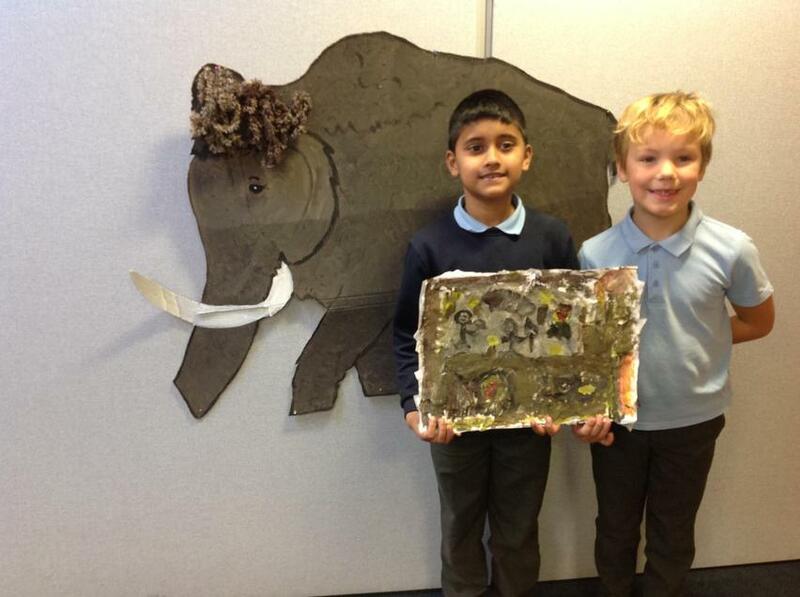 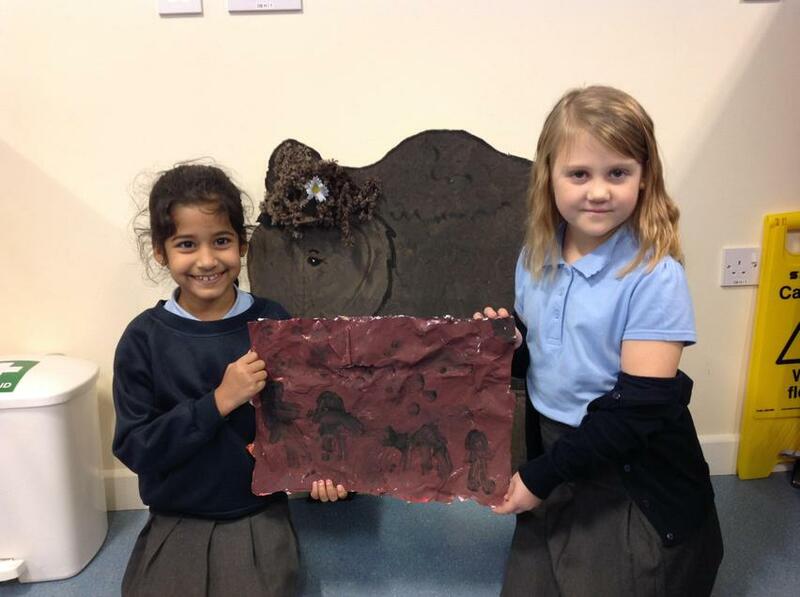 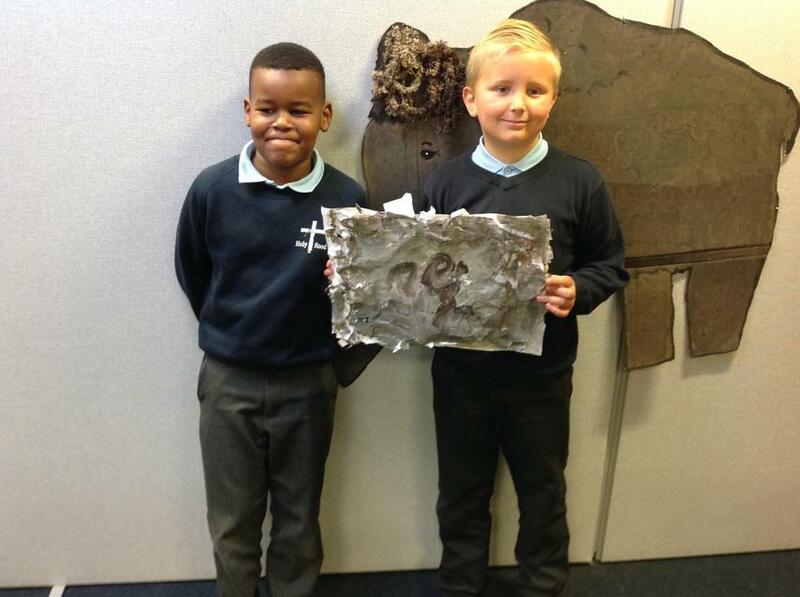 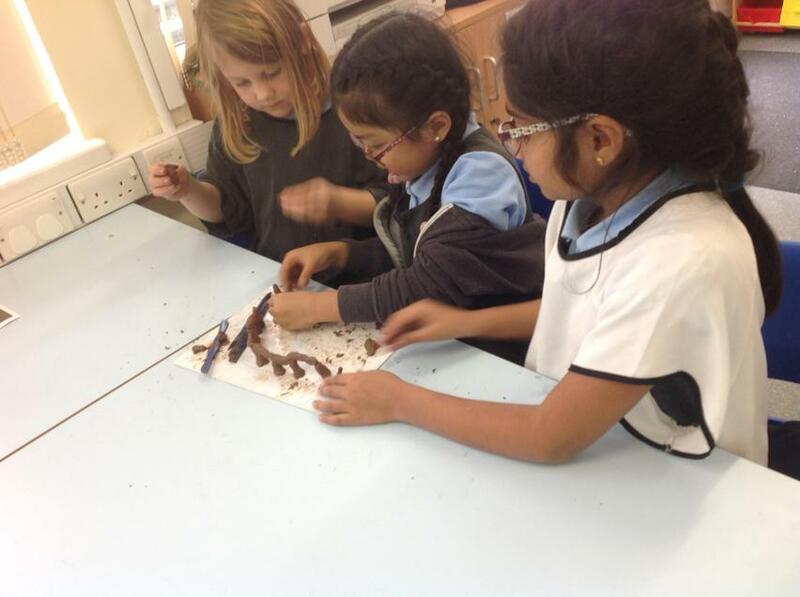 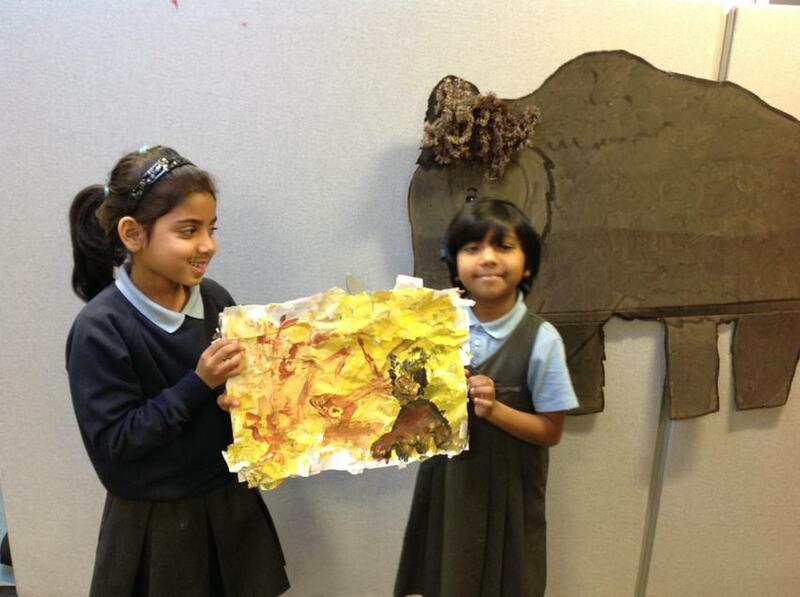 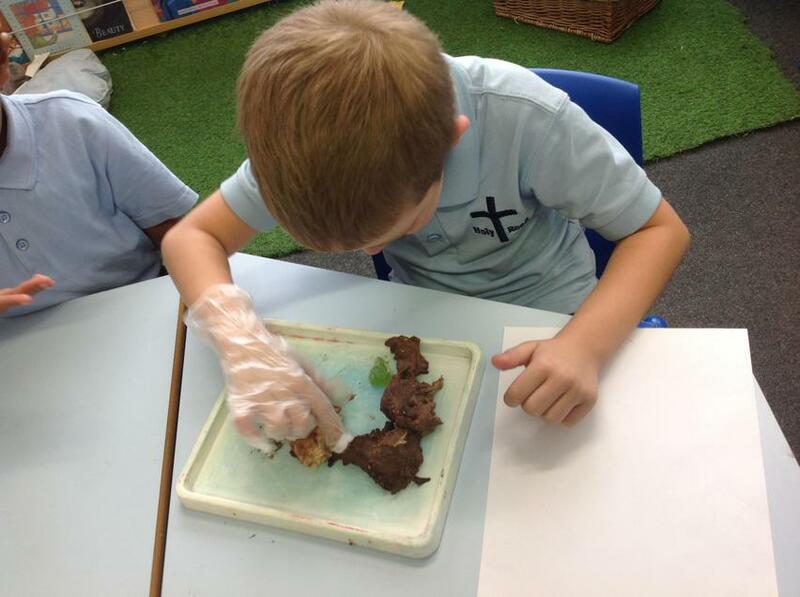 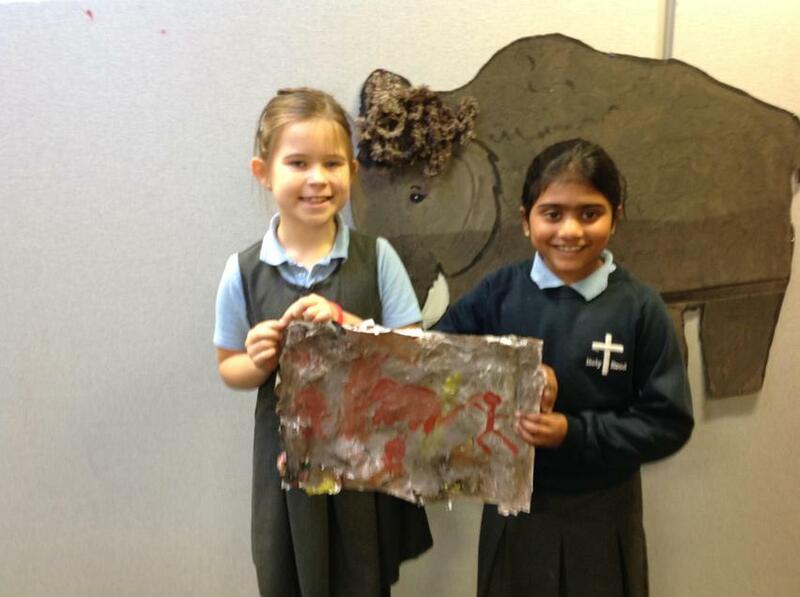 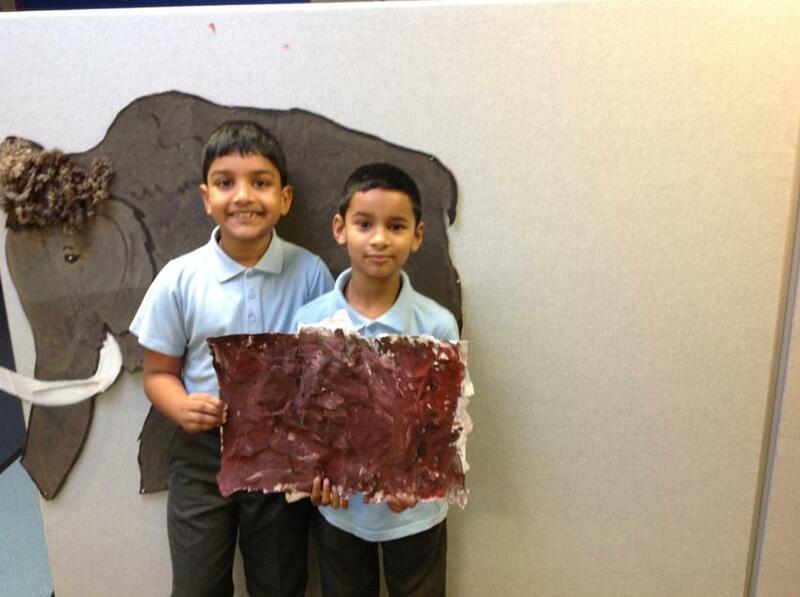 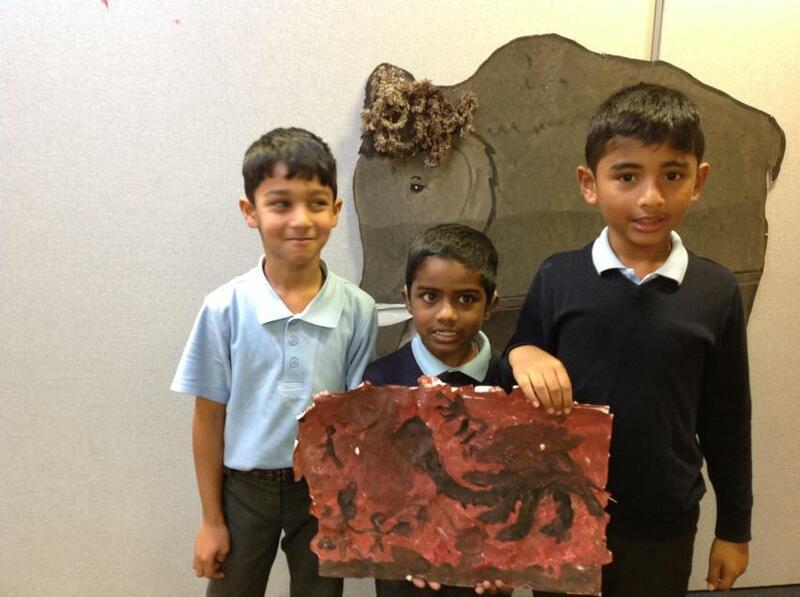 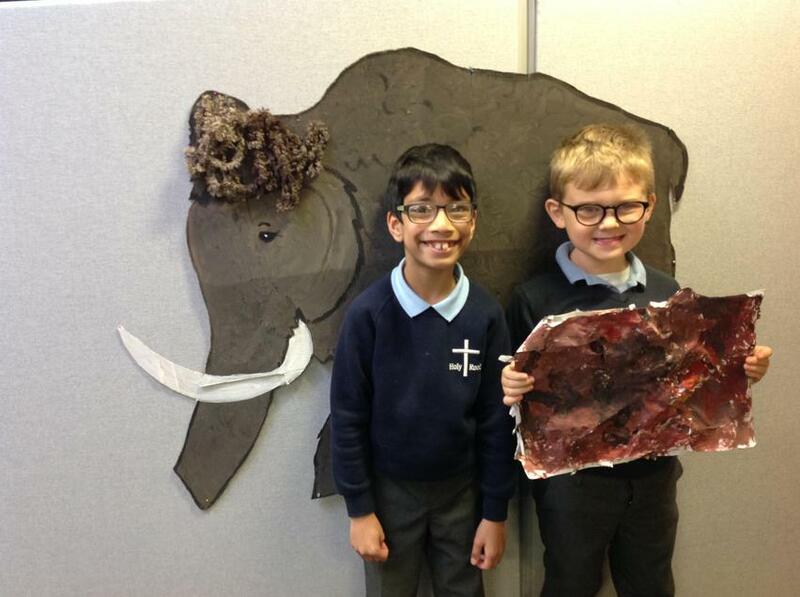 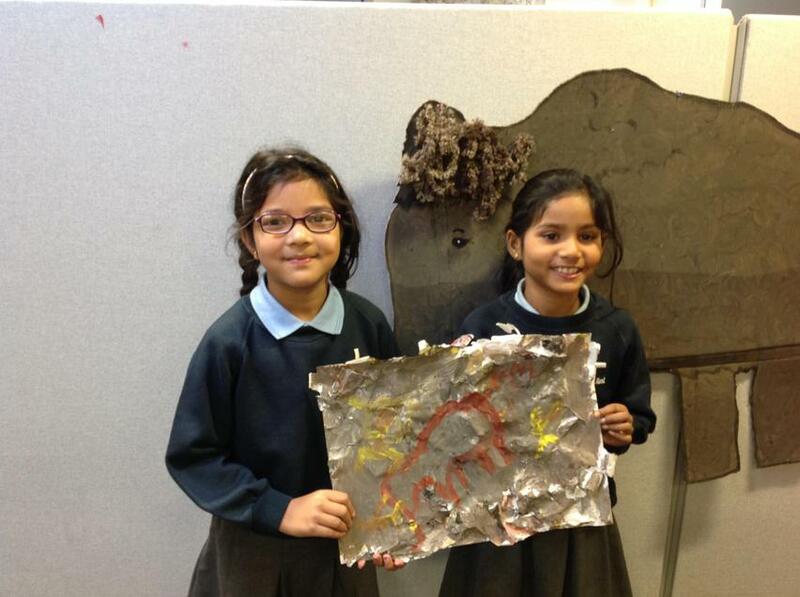 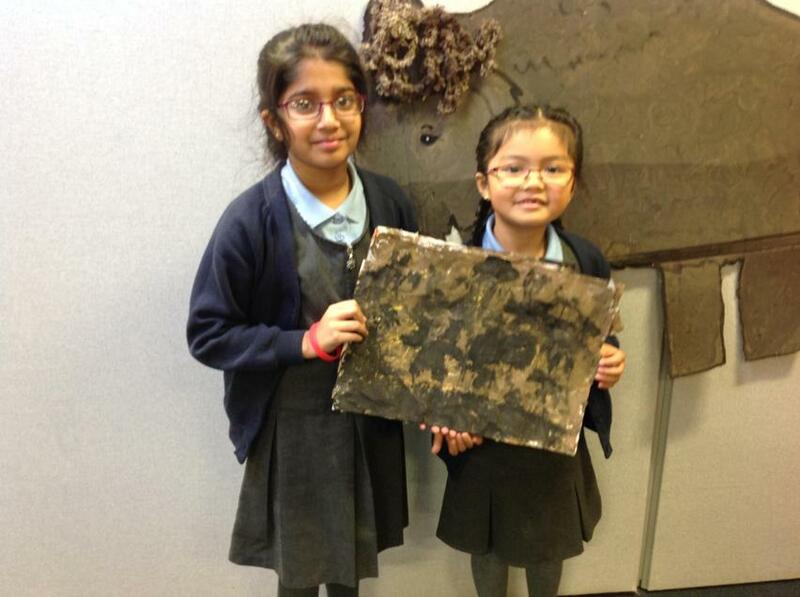 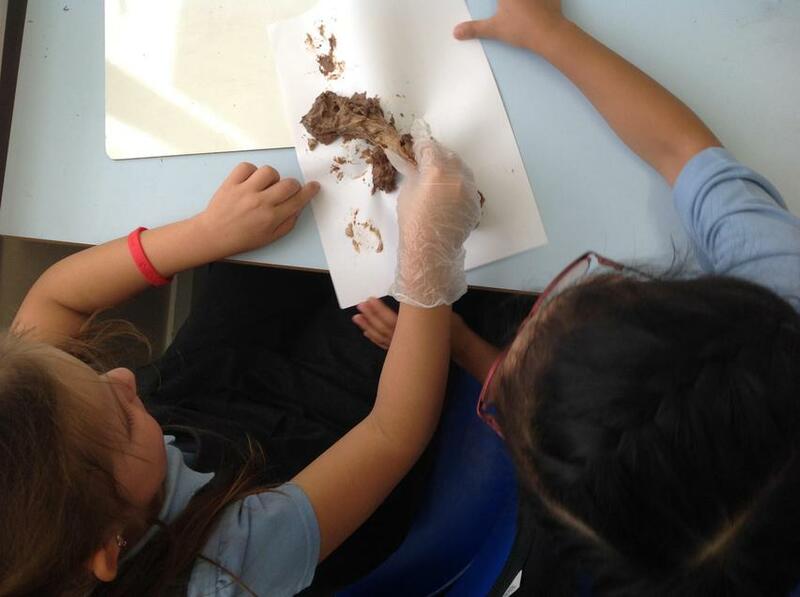 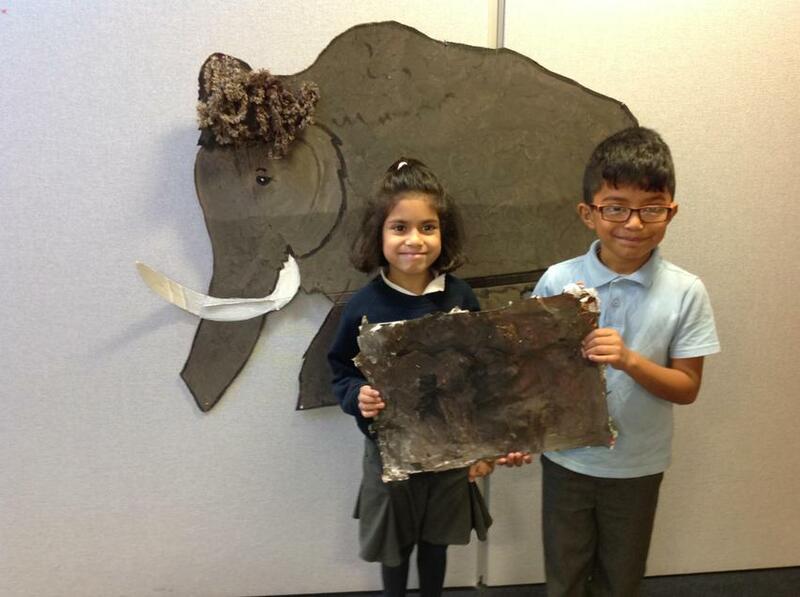 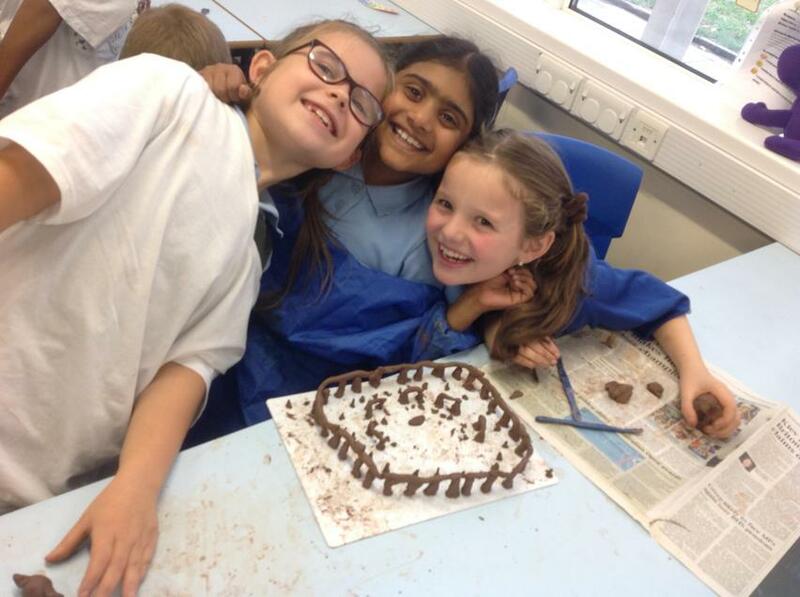 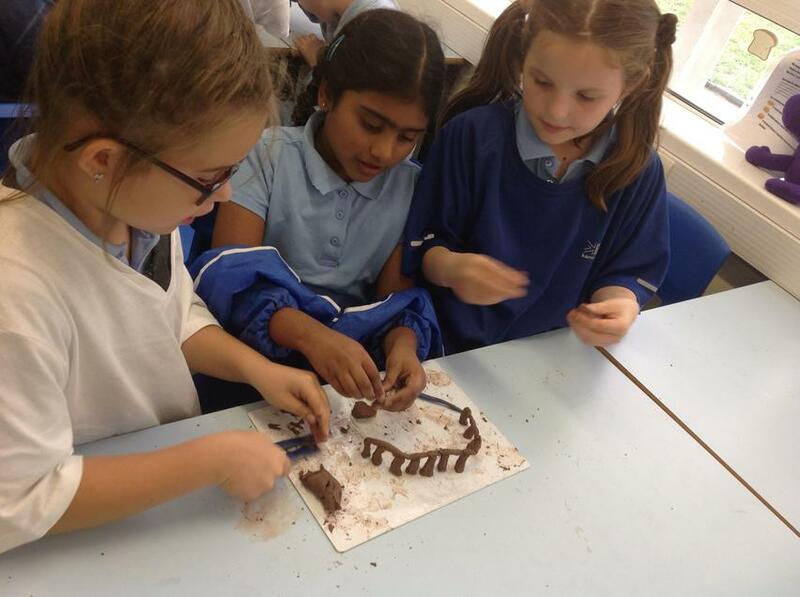 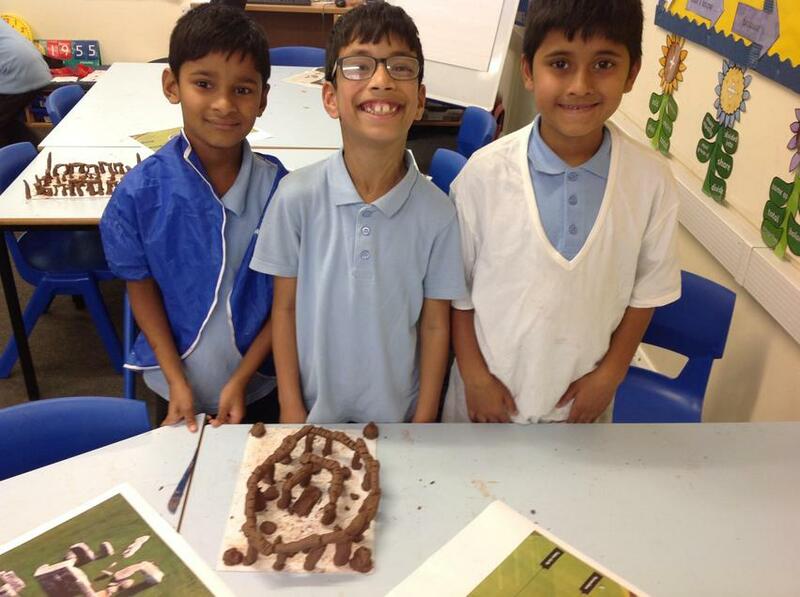 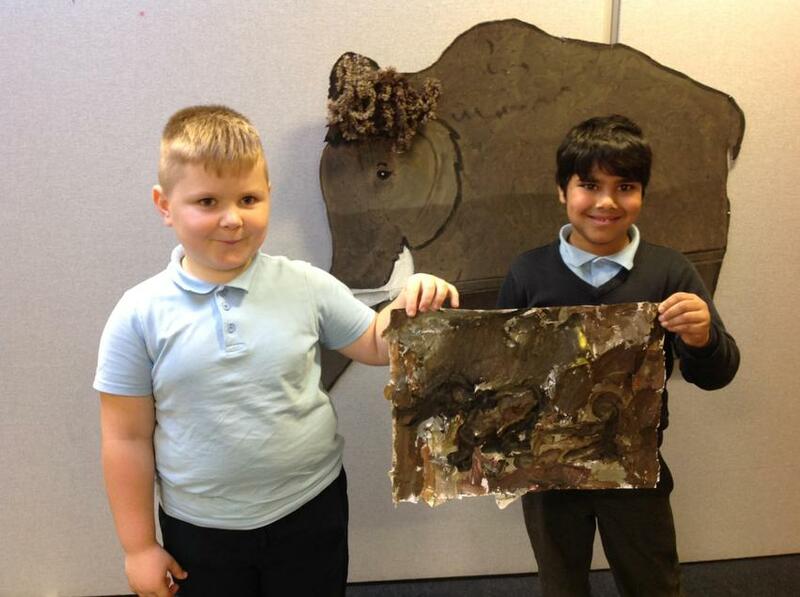 We really enjoyed exploring colour and texture in DT in order to make our own cave walls with Stone Age cave art! 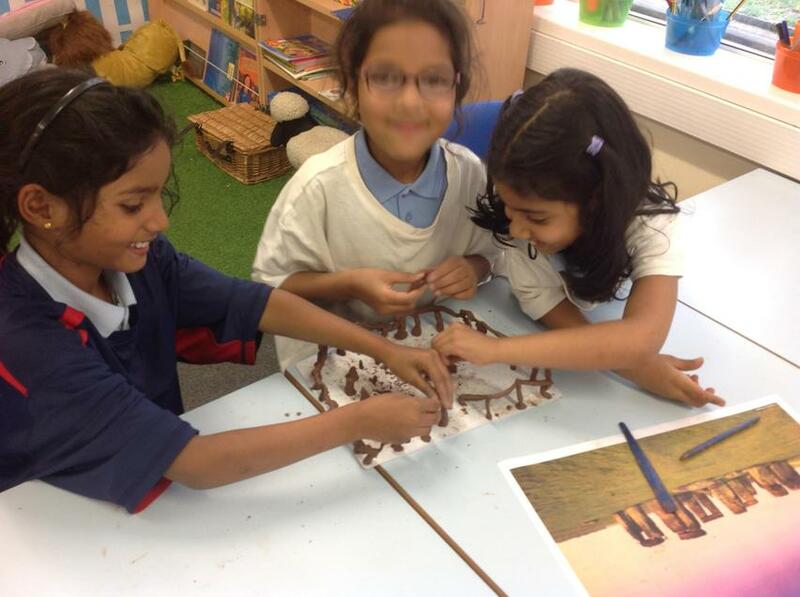 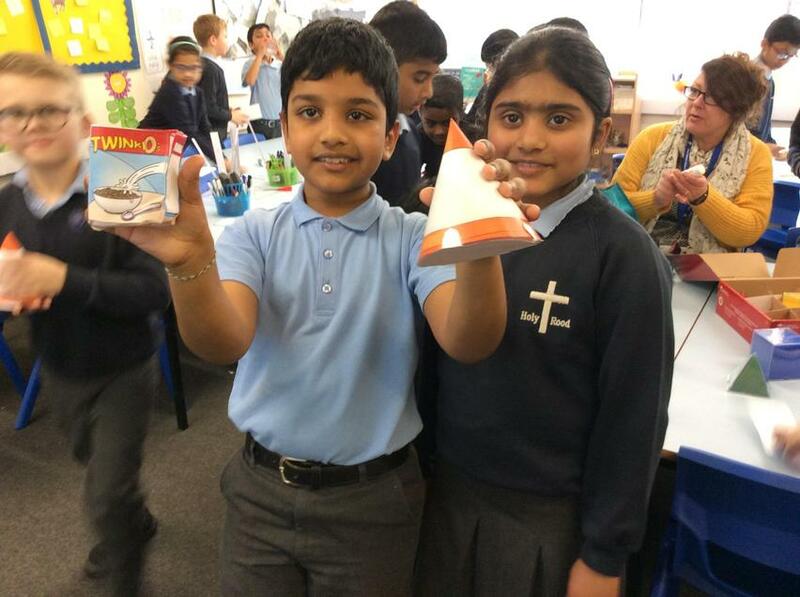 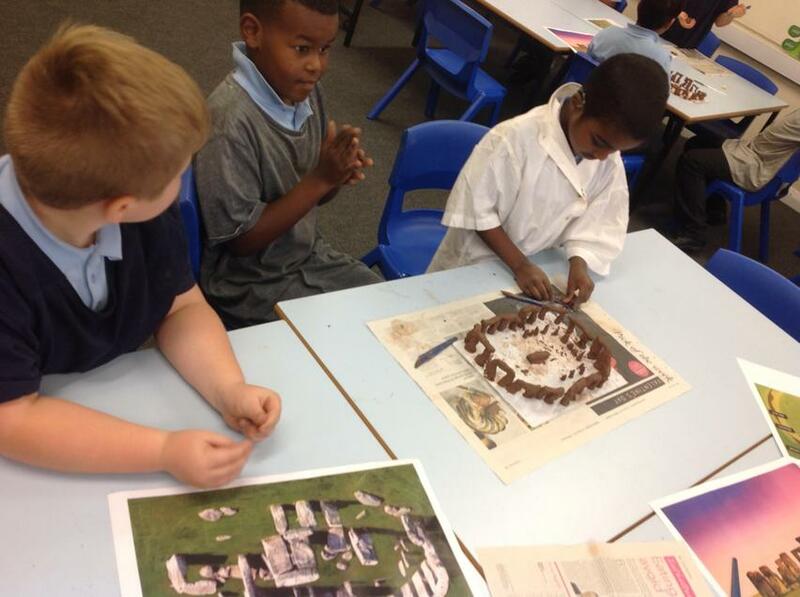 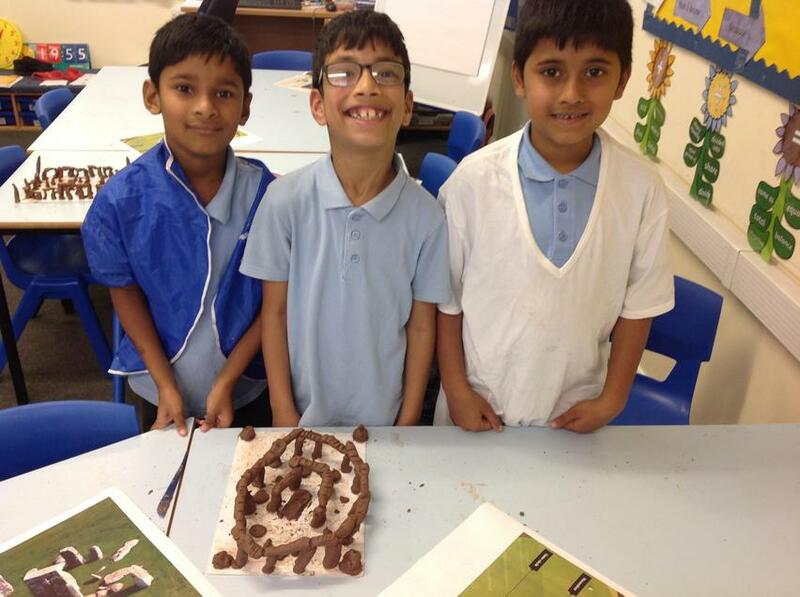 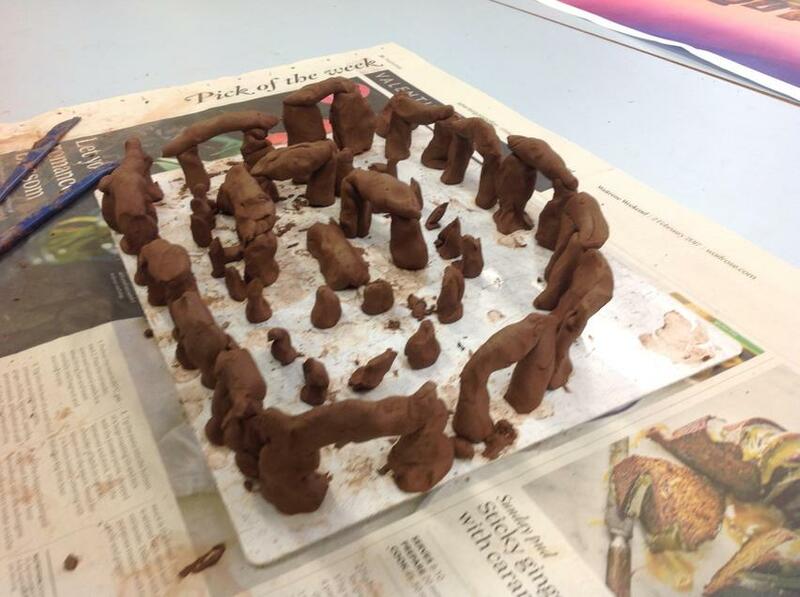 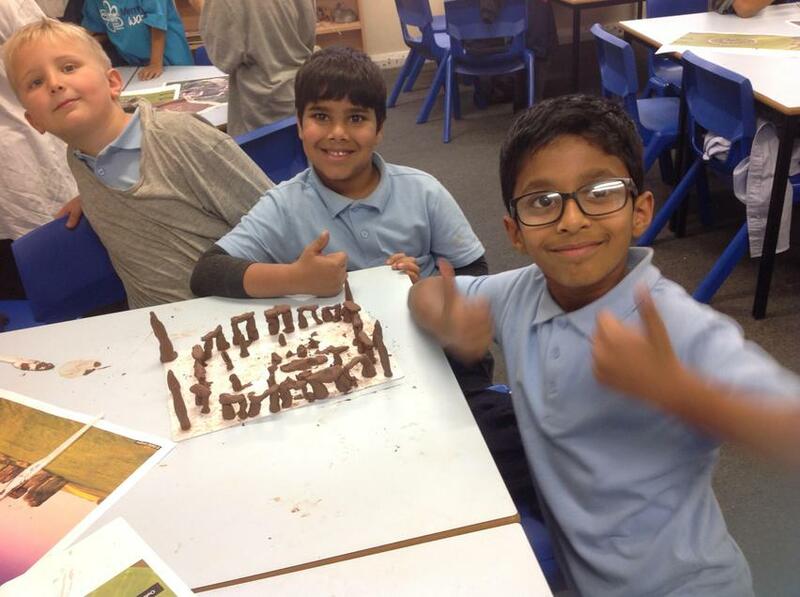 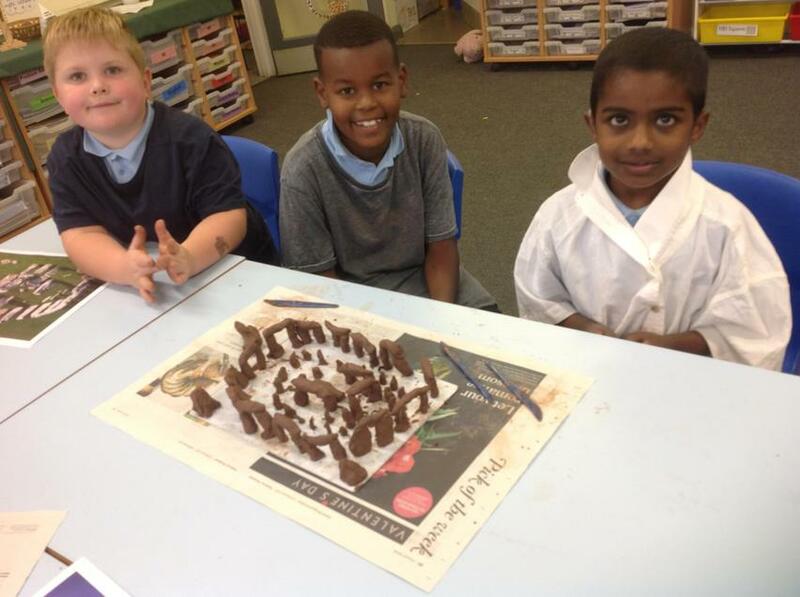 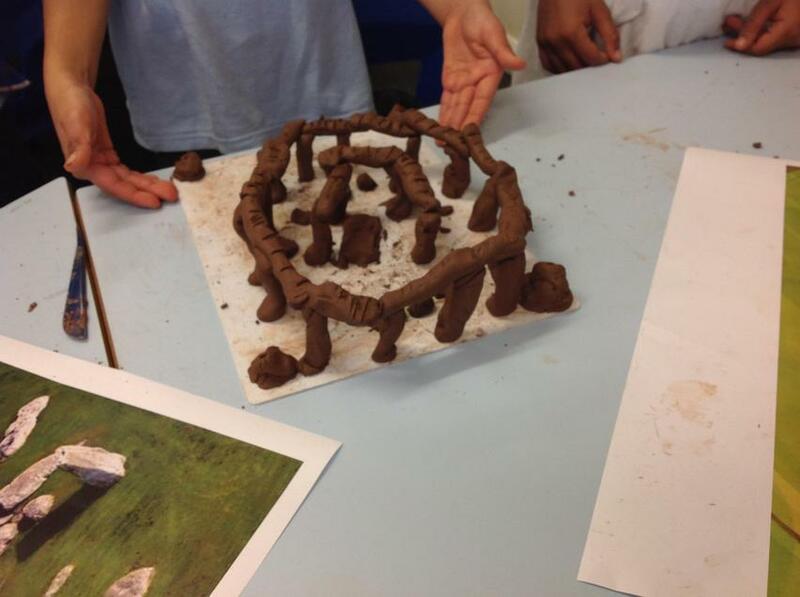 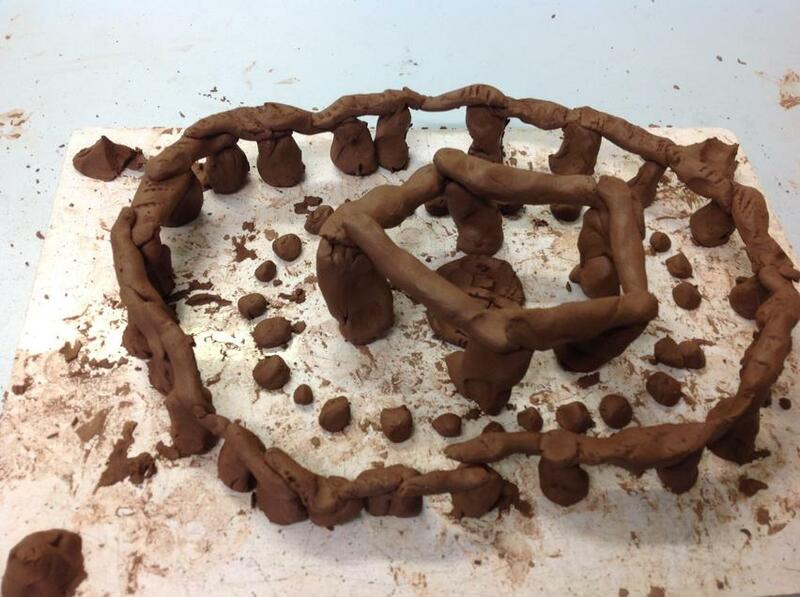 We really enjoyed making our own miniature versions of Stonehenge!